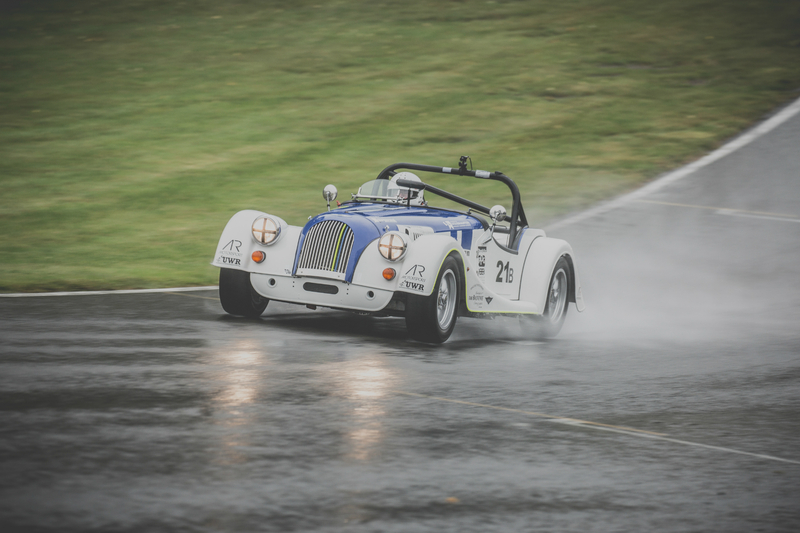 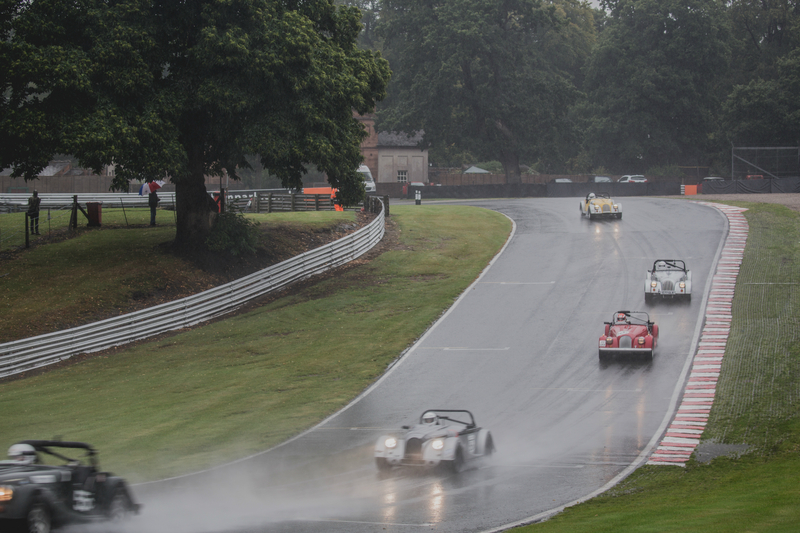 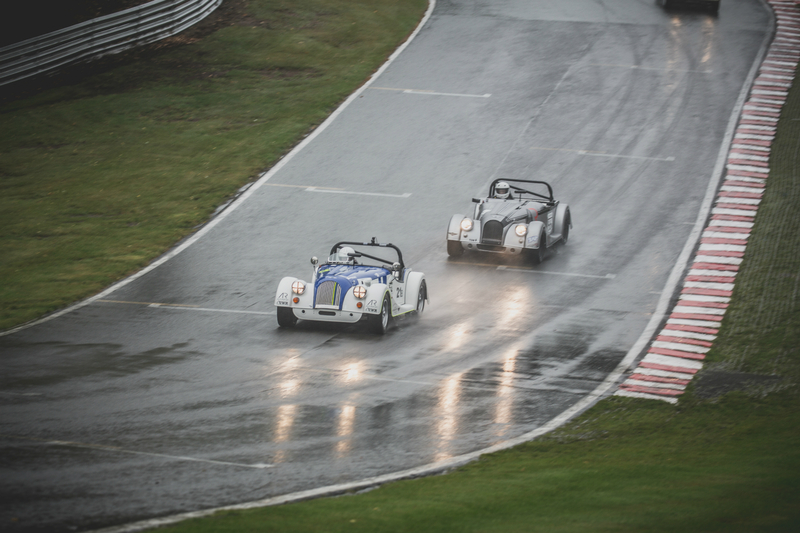 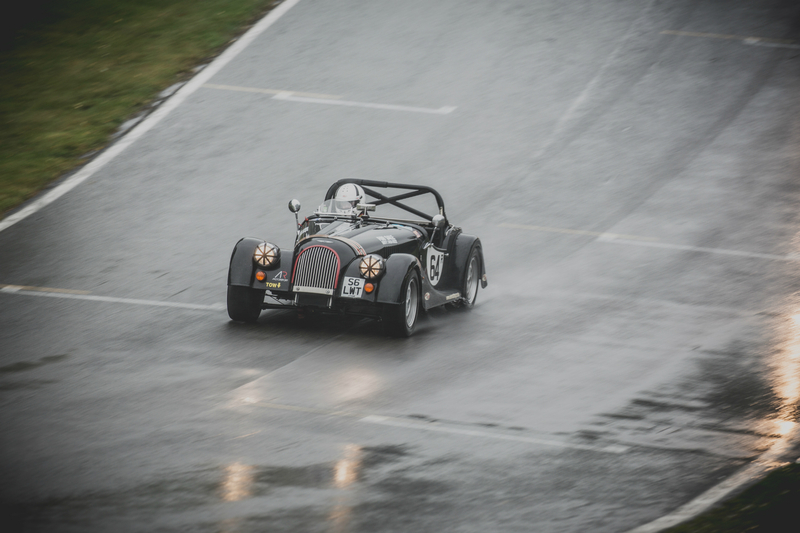 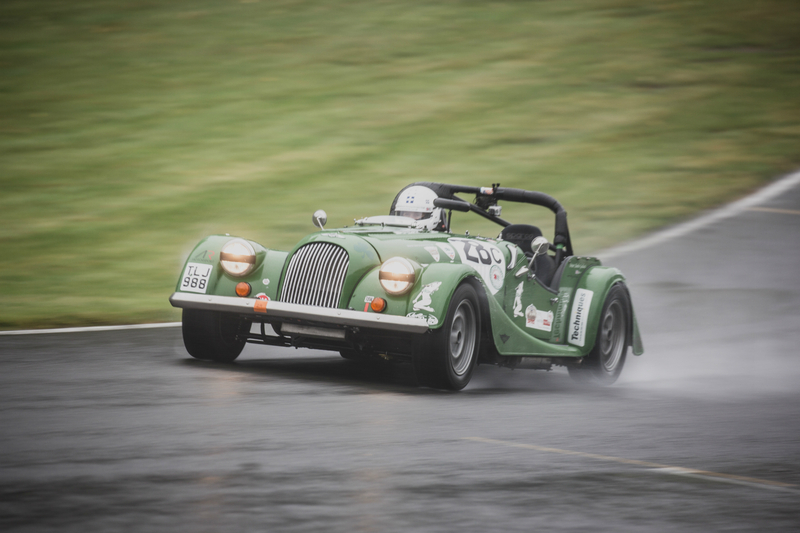 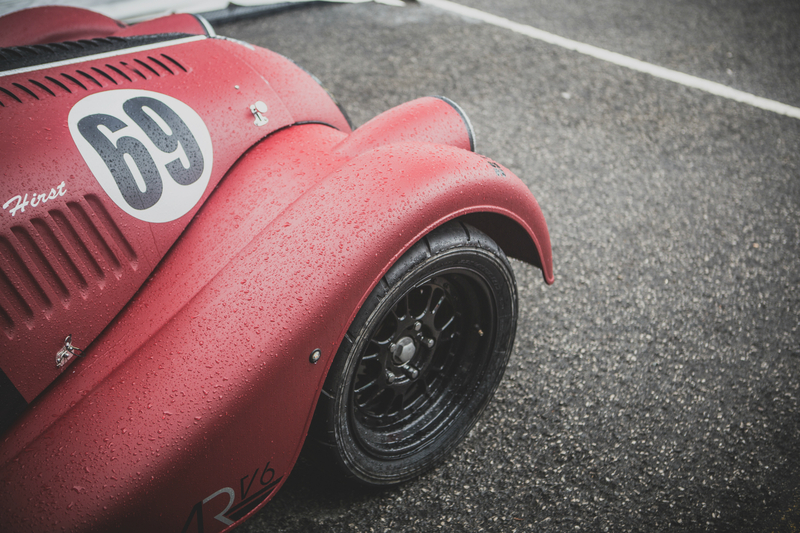 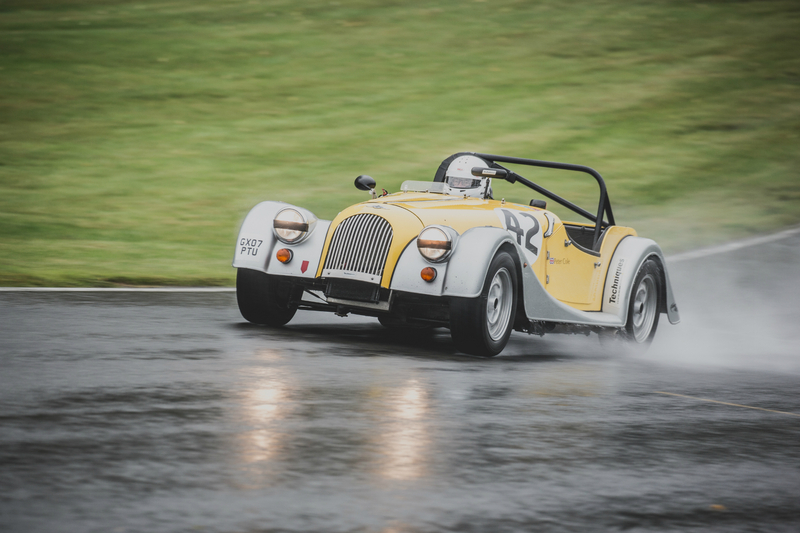 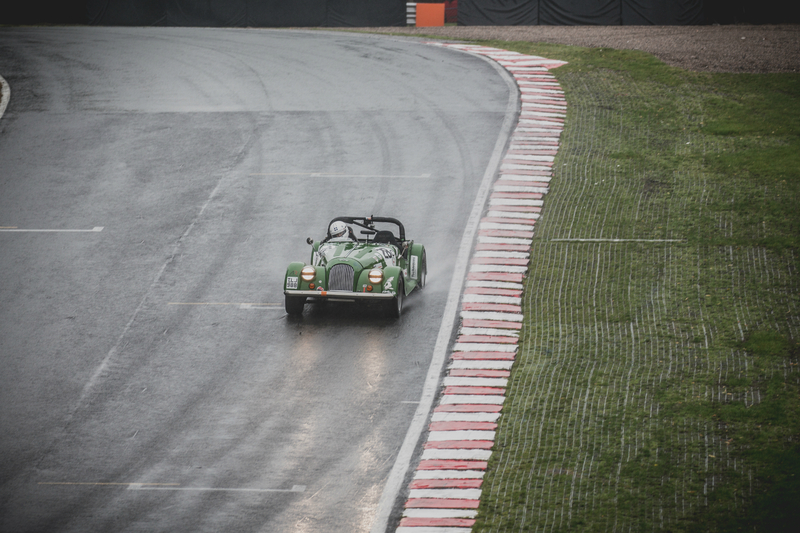 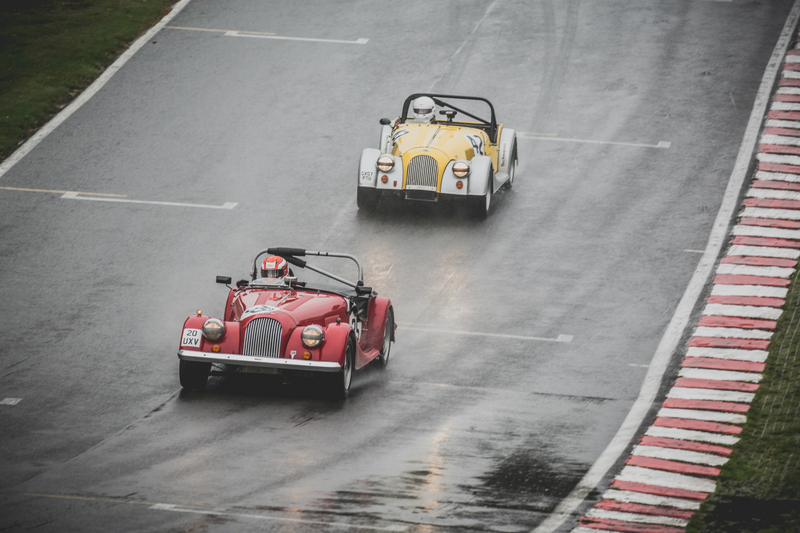 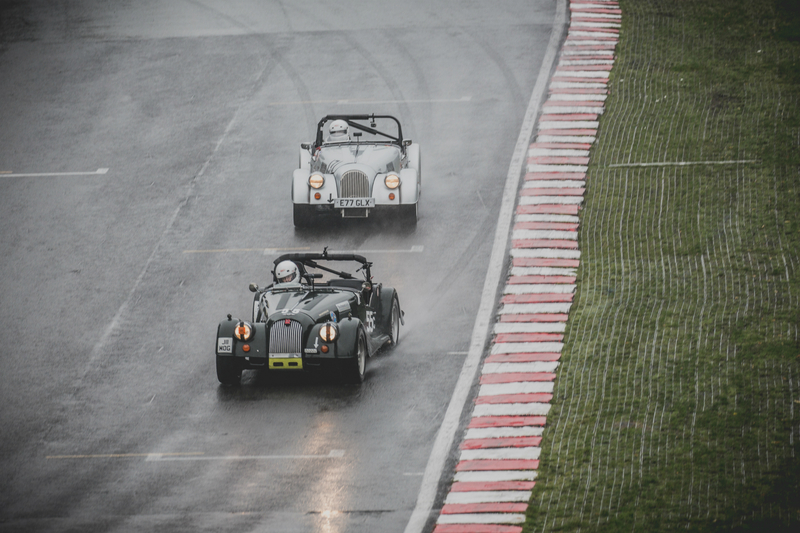 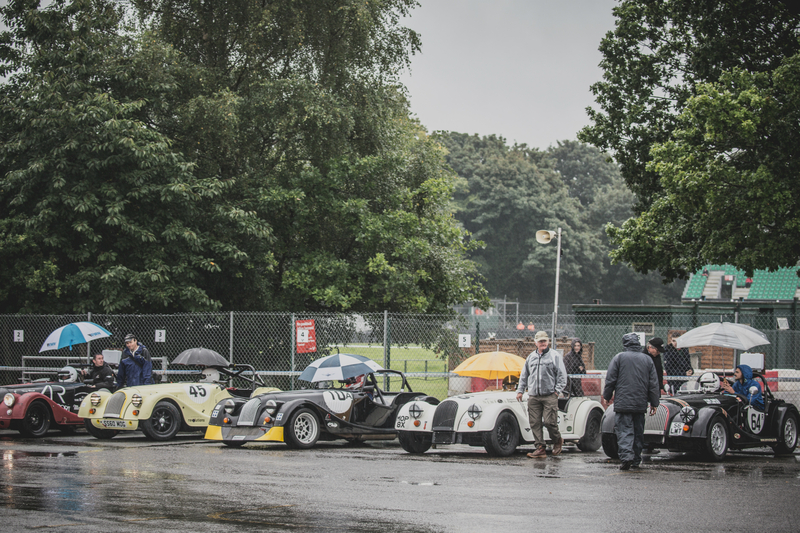 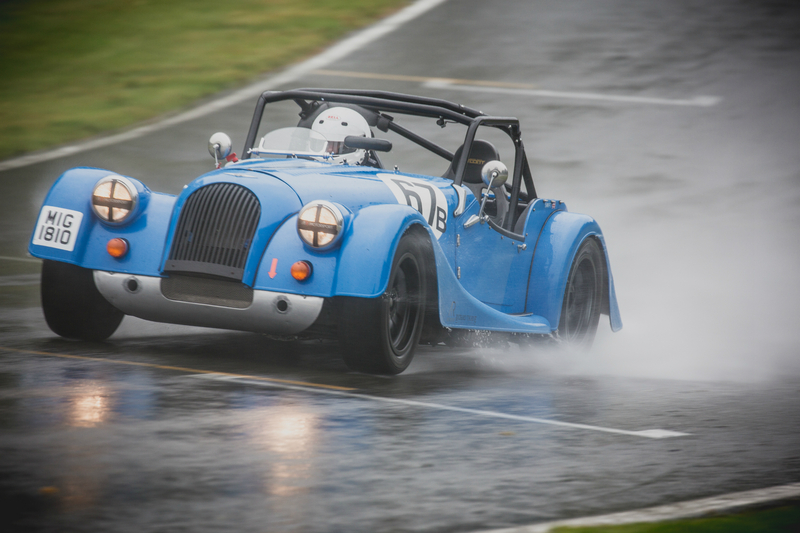 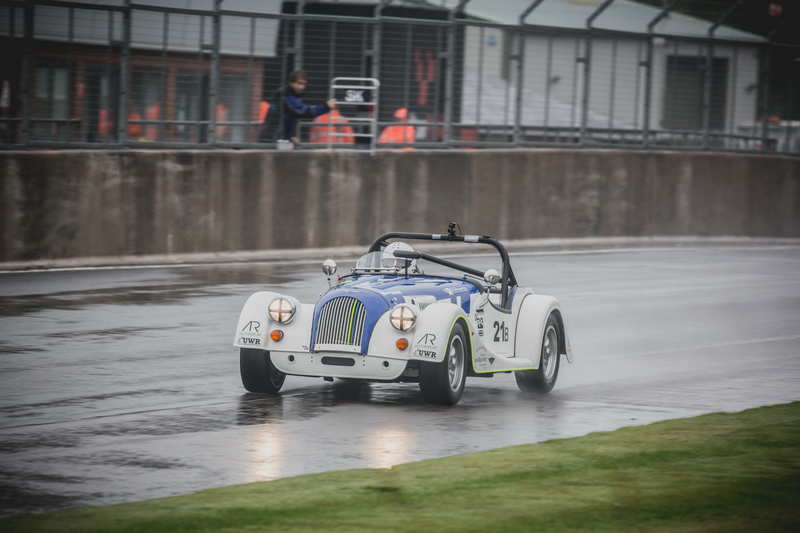 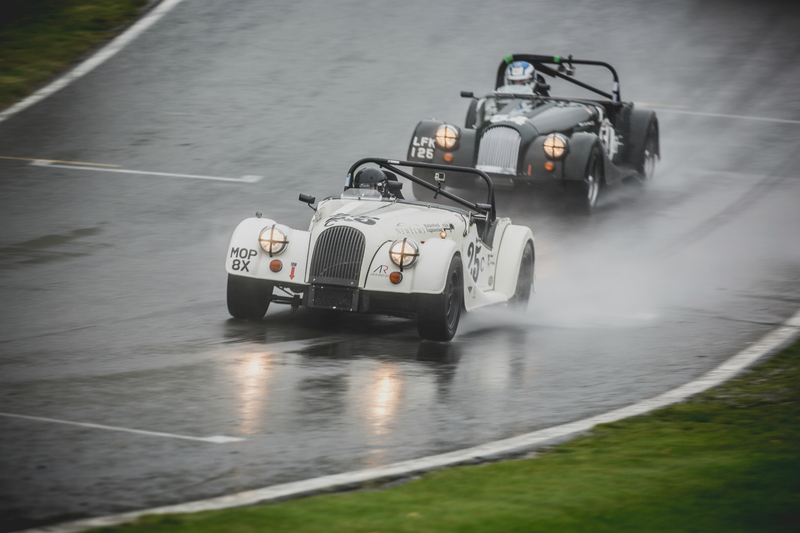 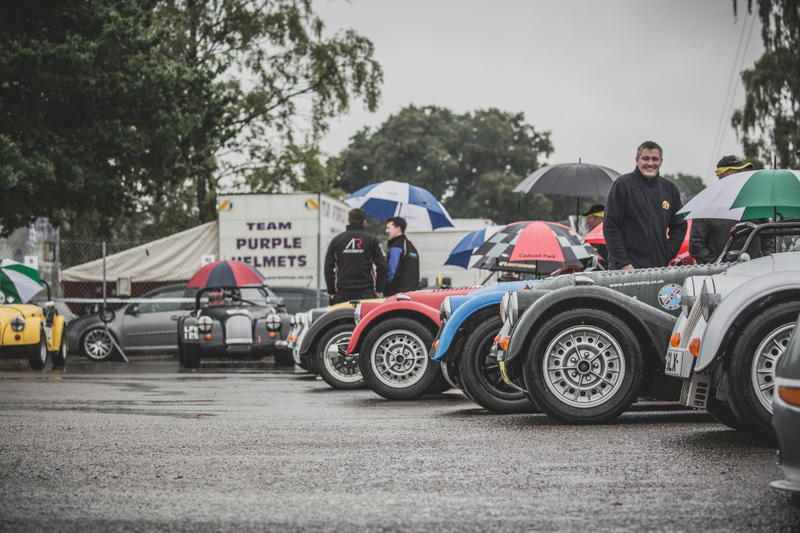 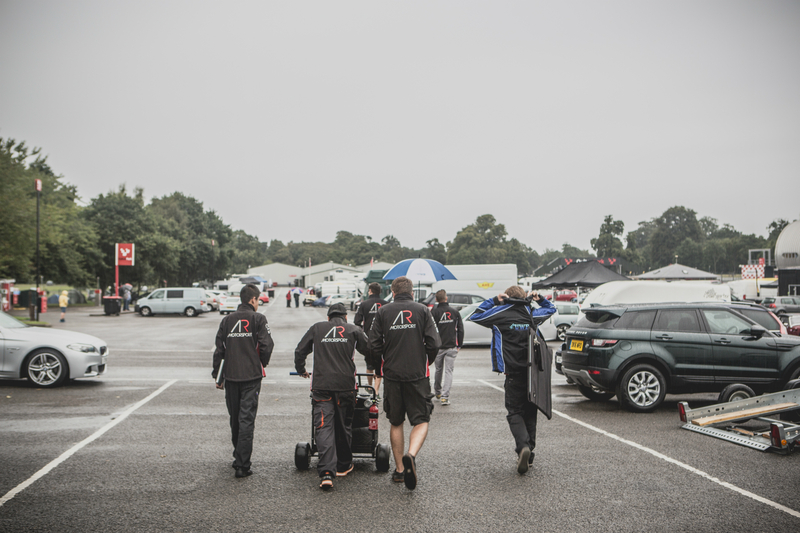 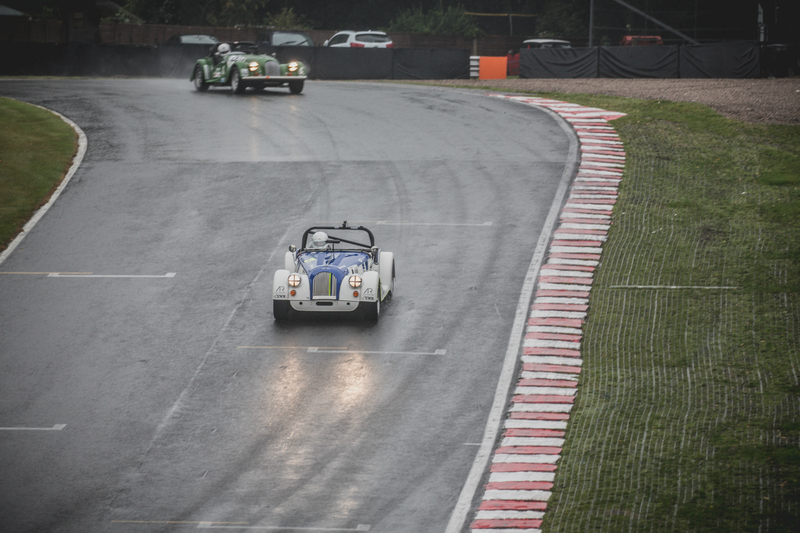 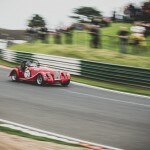 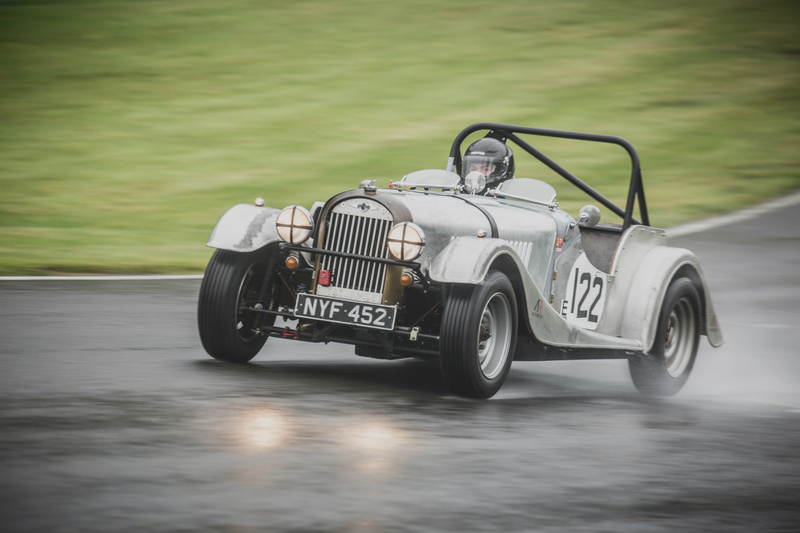 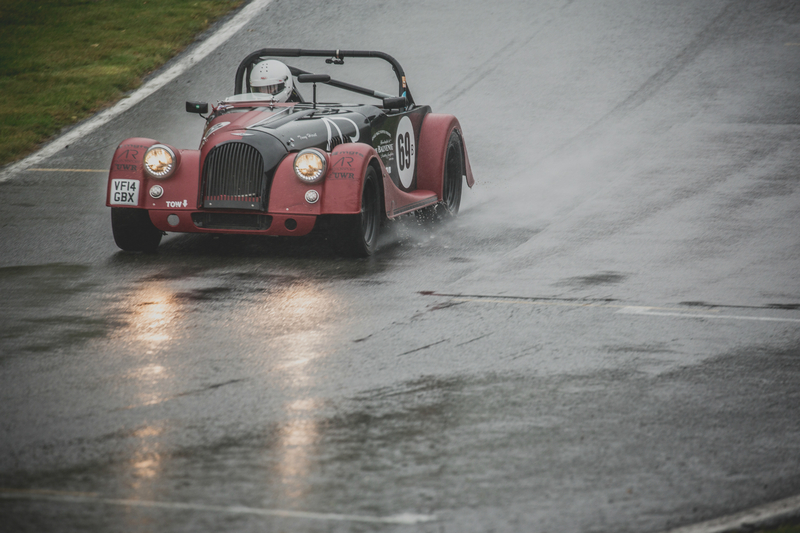 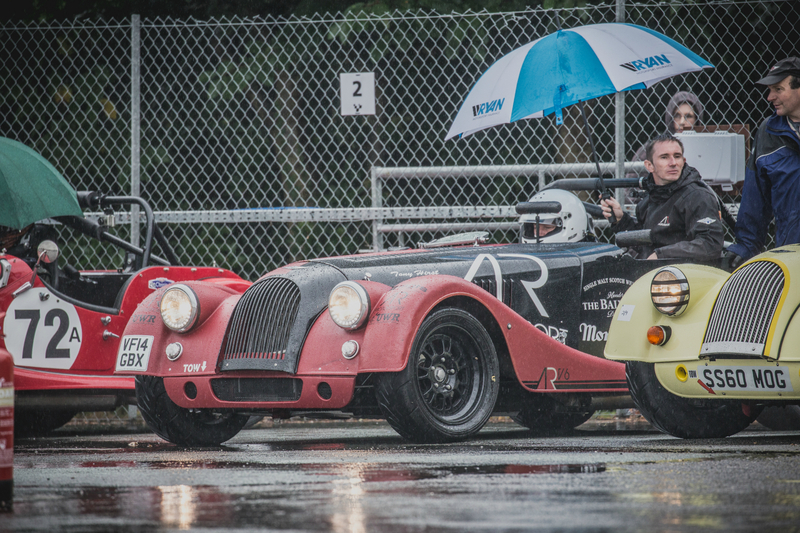 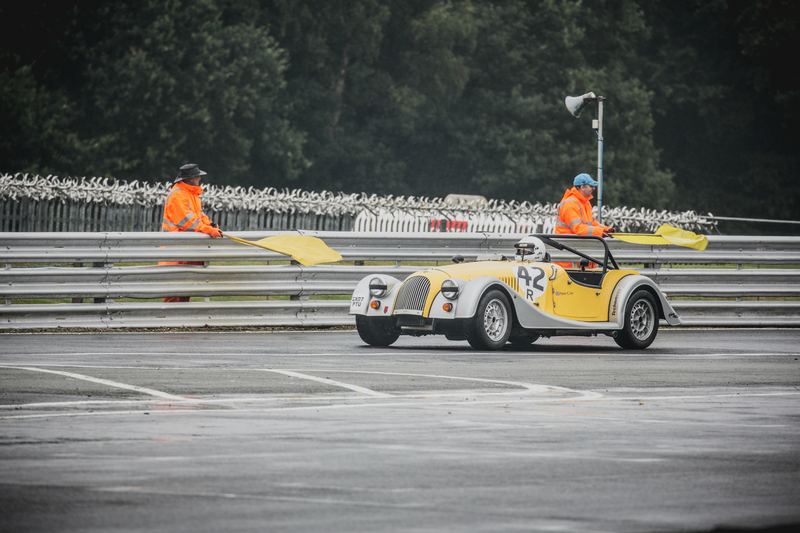 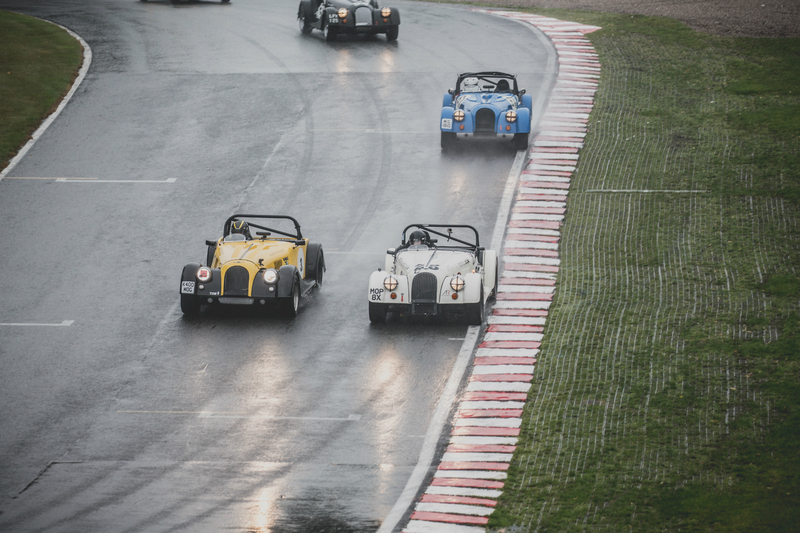 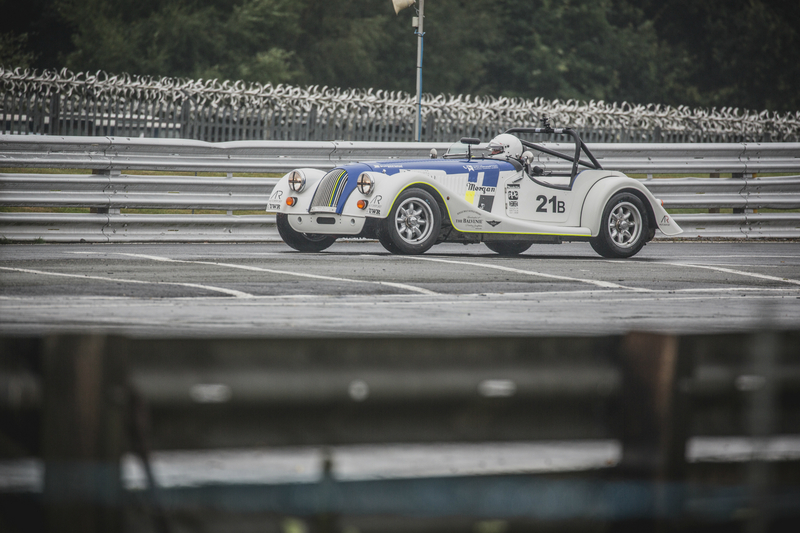 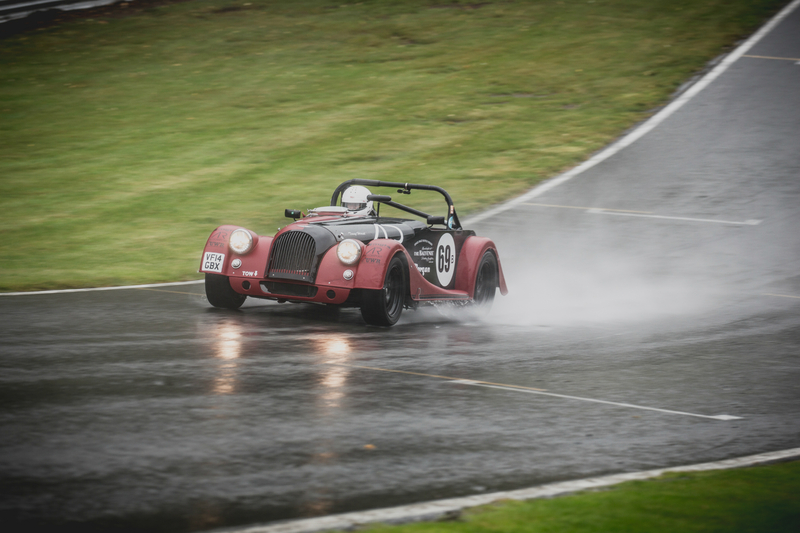 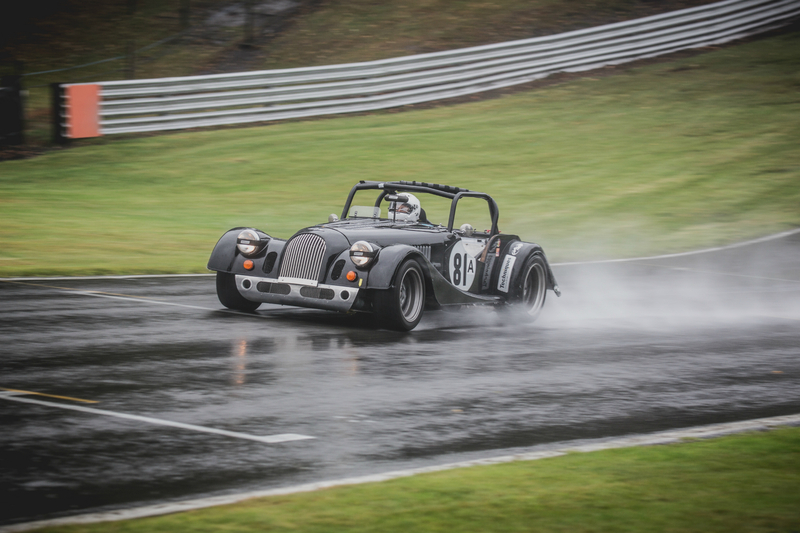 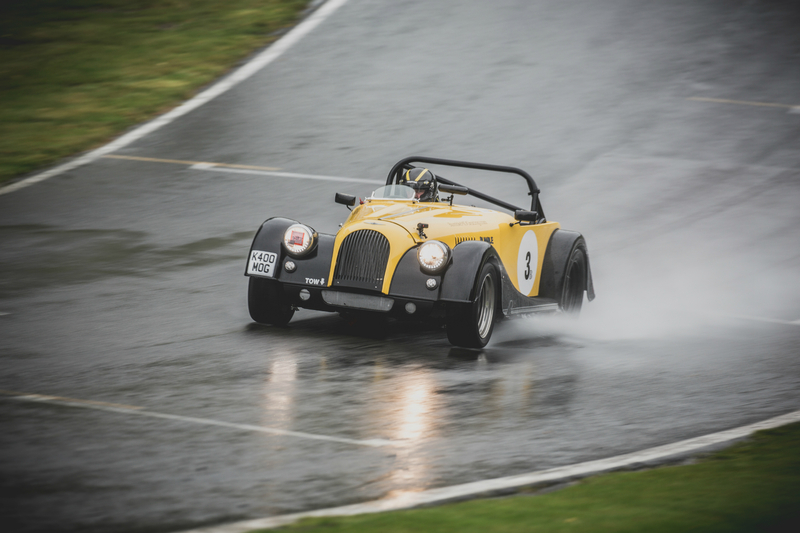 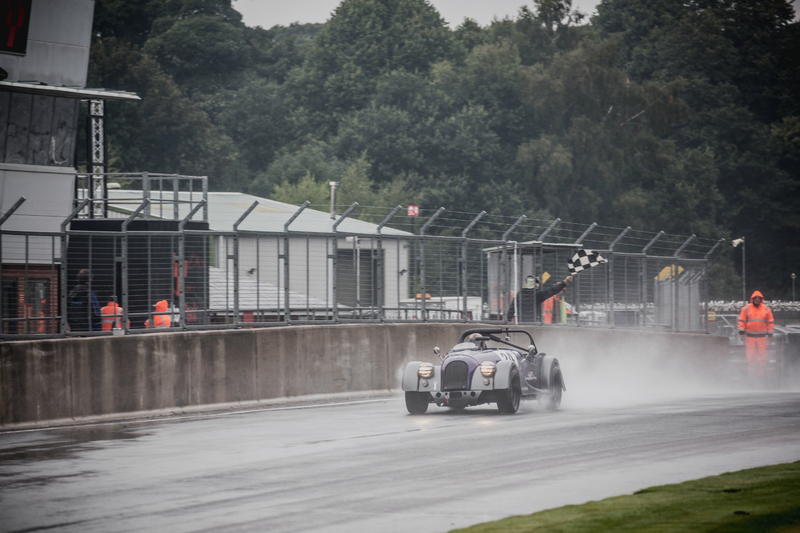 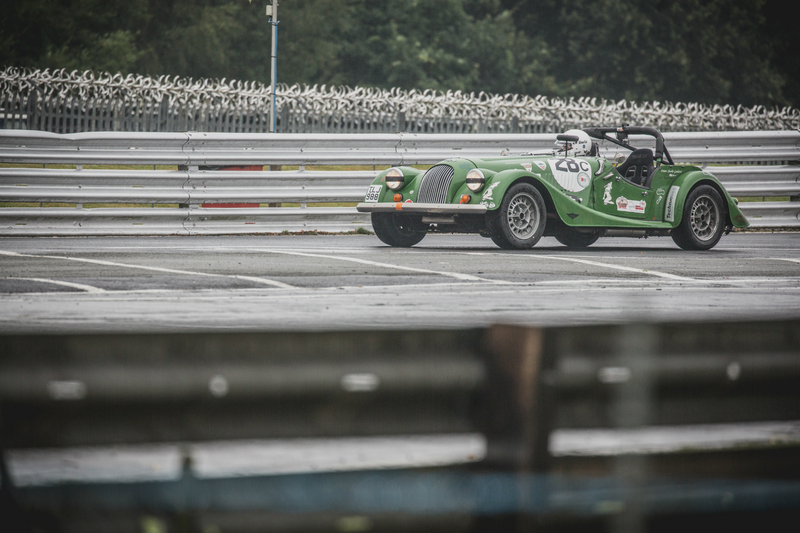 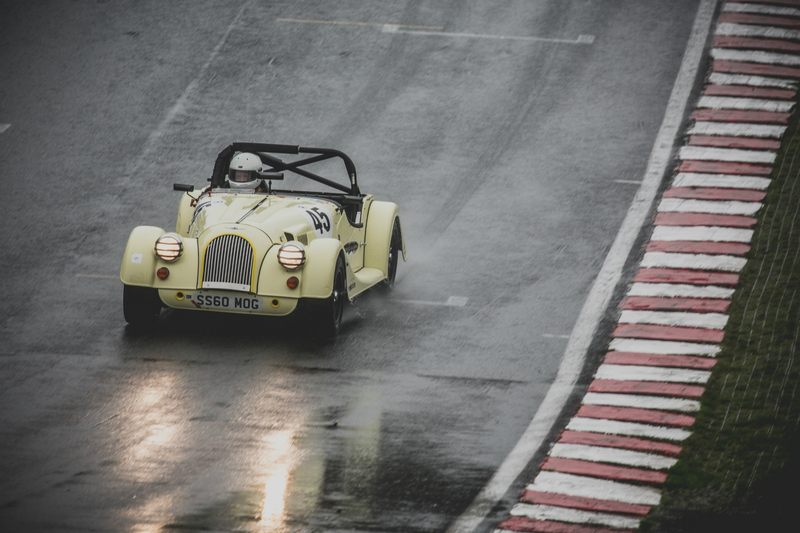 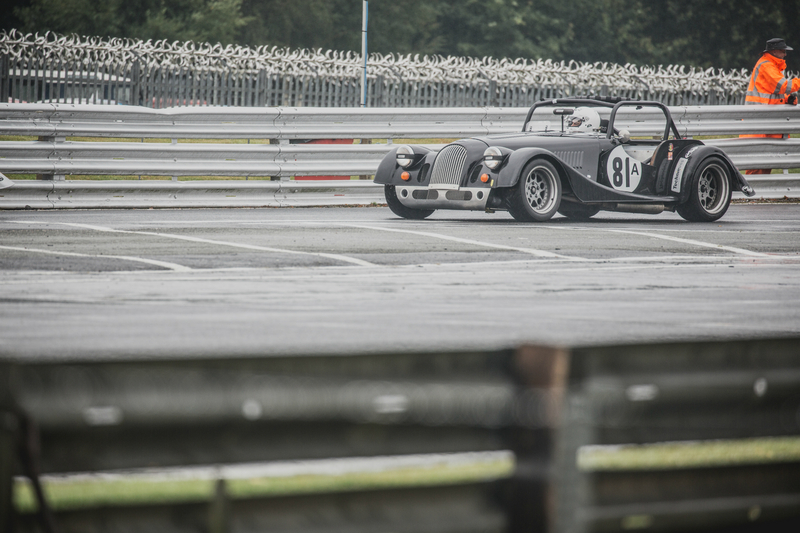 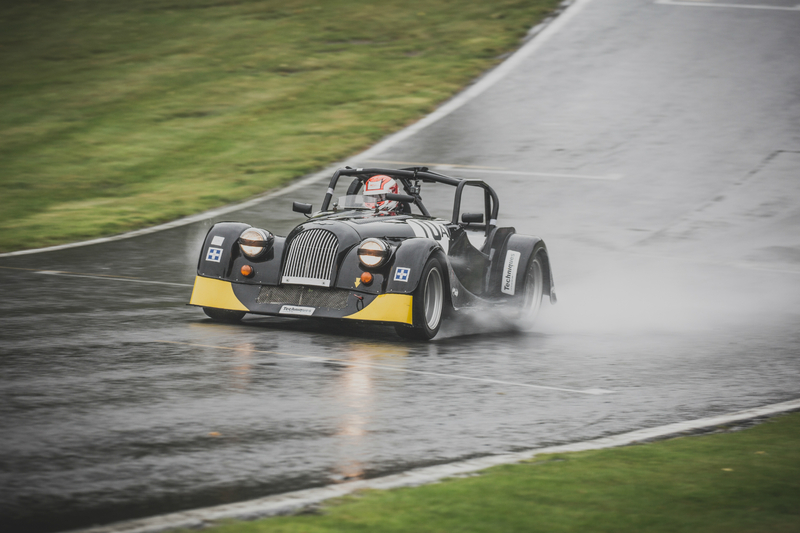 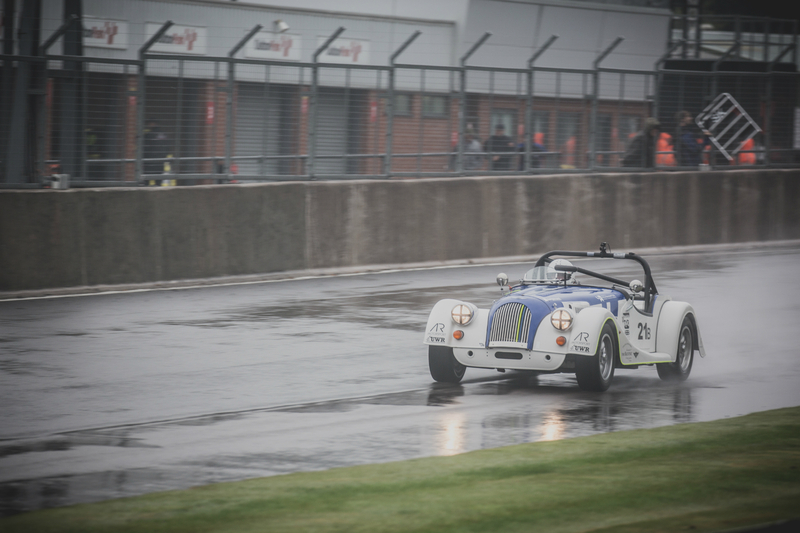 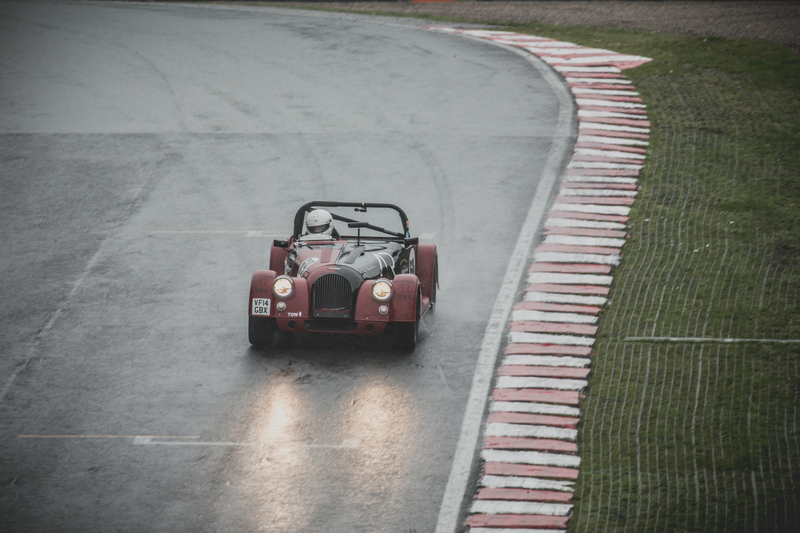 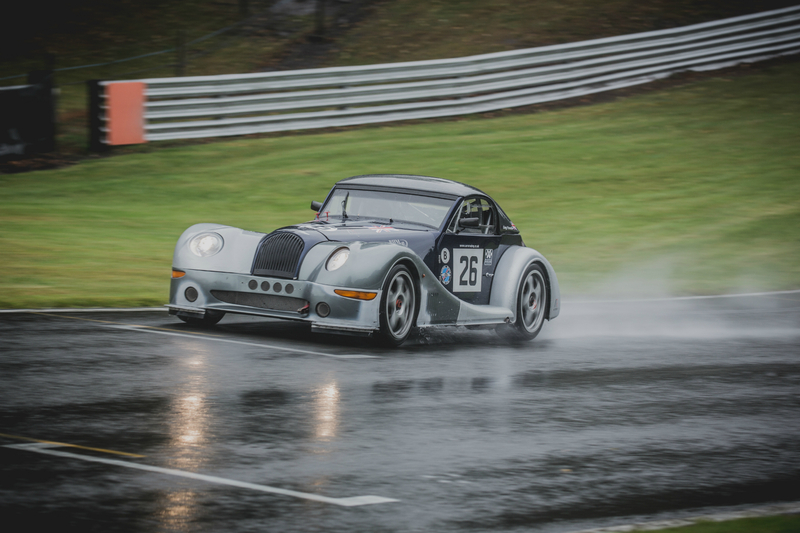 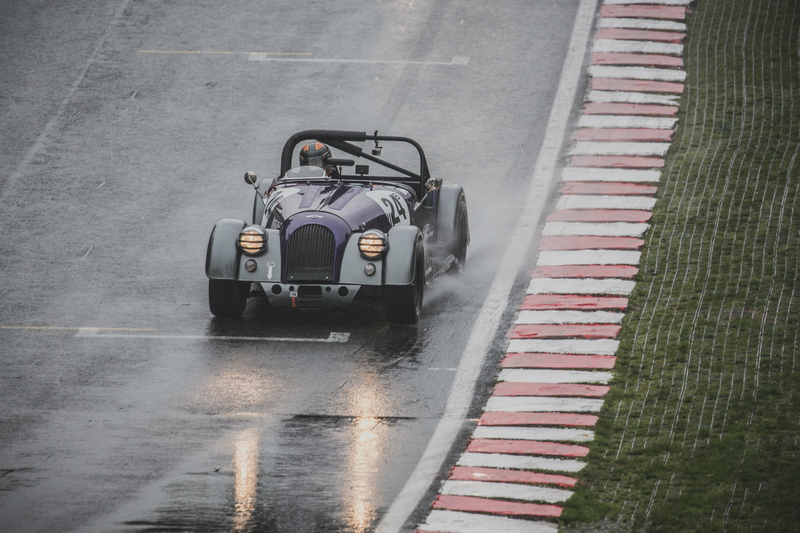 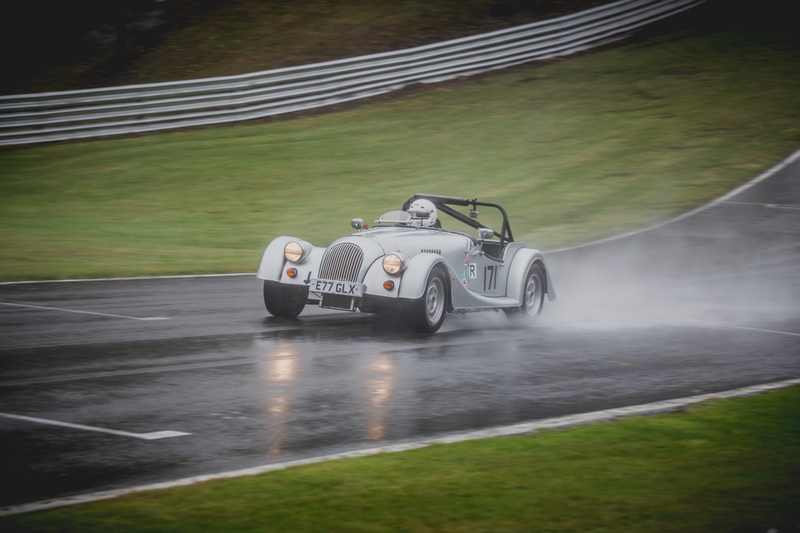 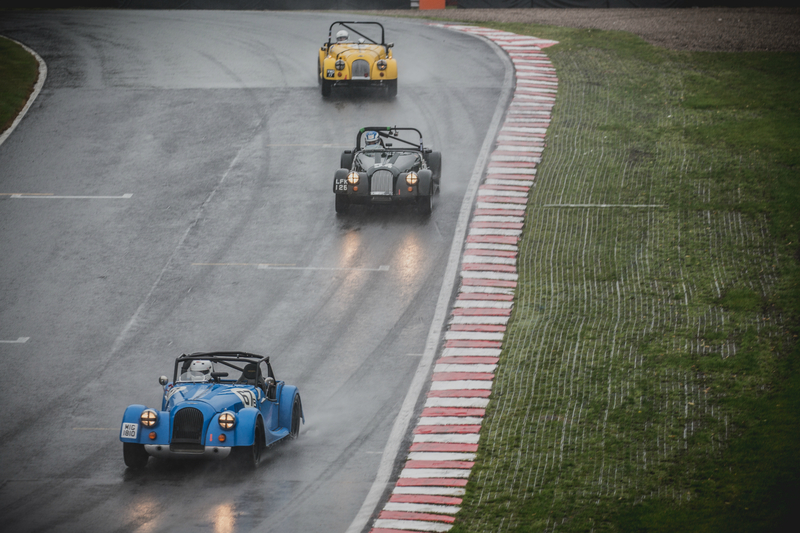 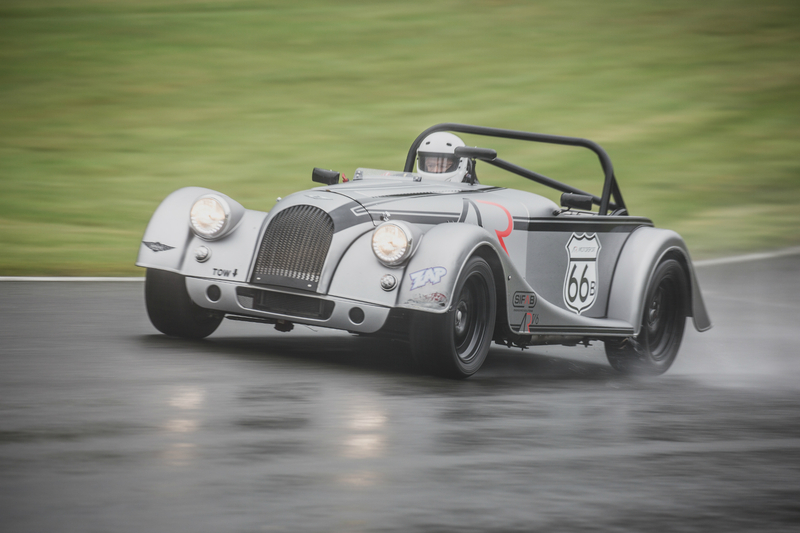 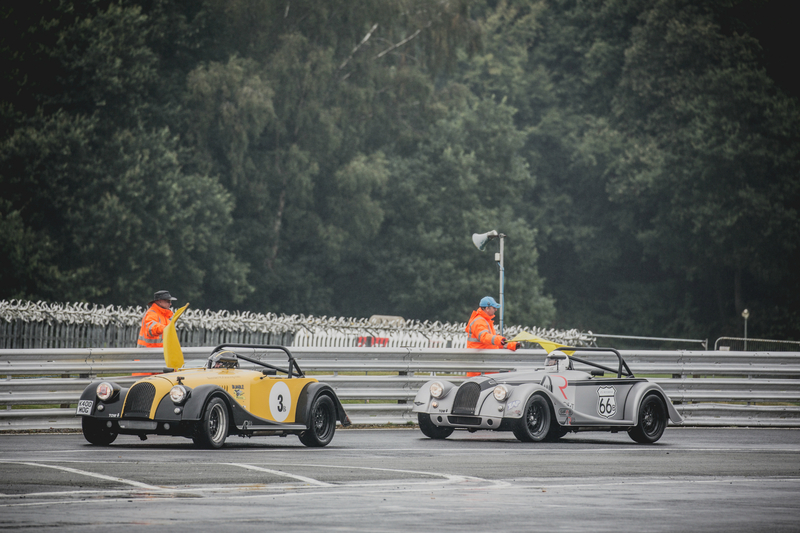 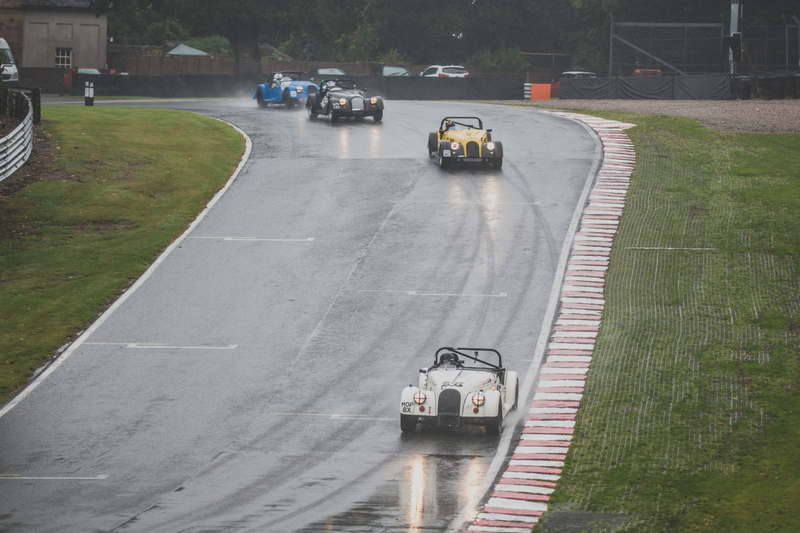 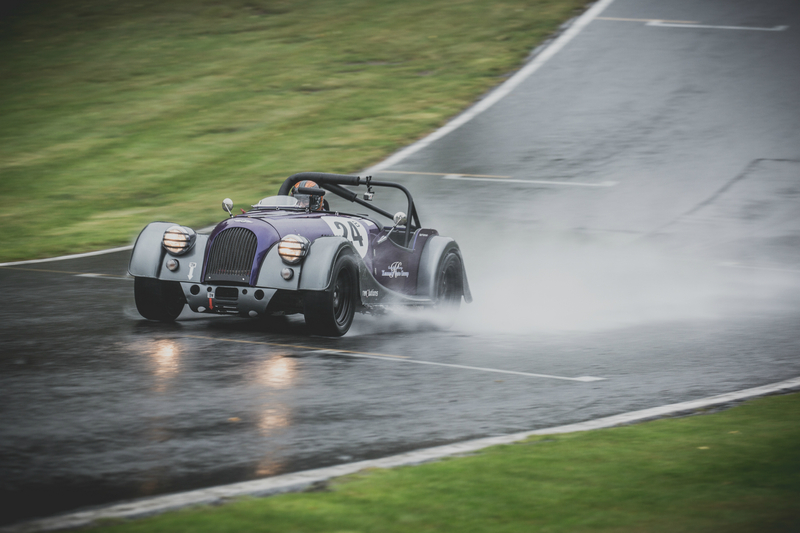 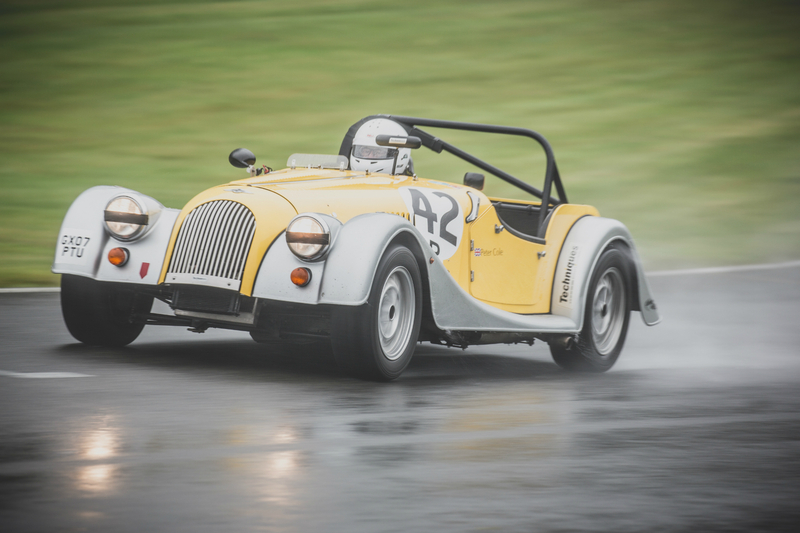 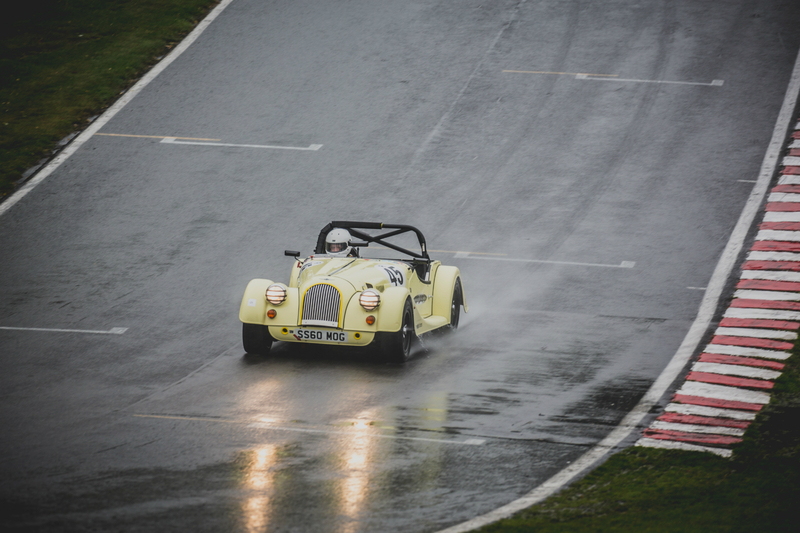 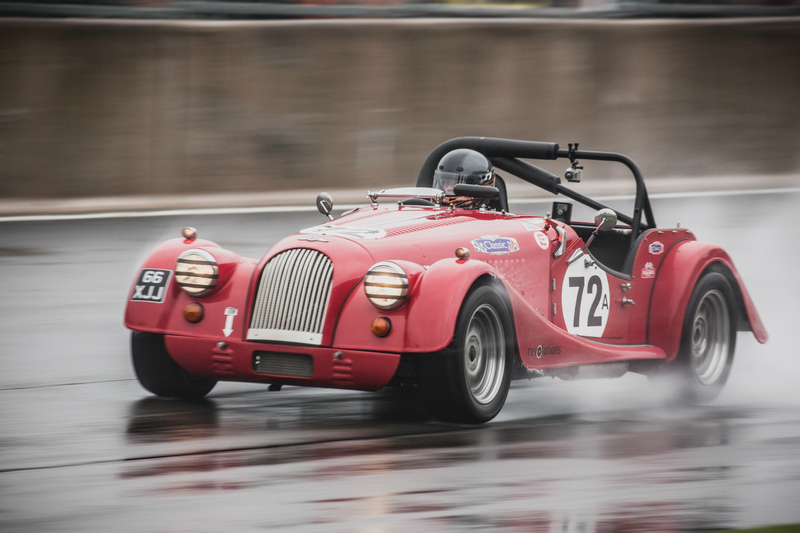 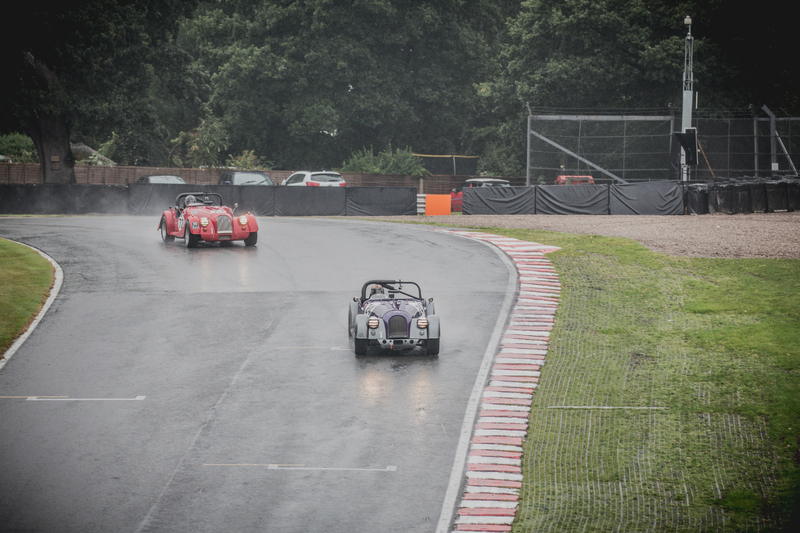 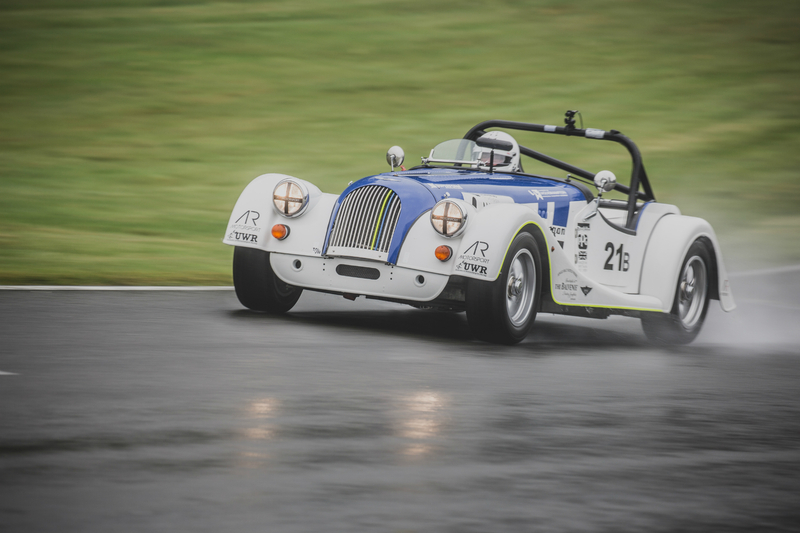 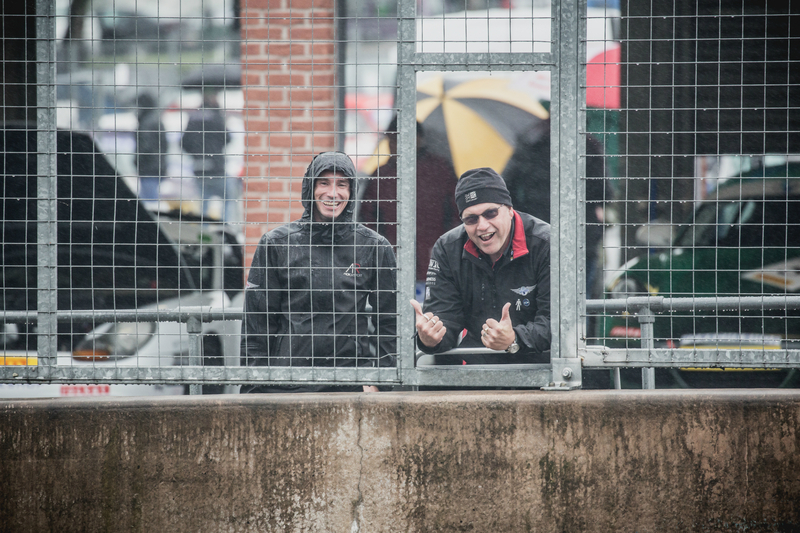 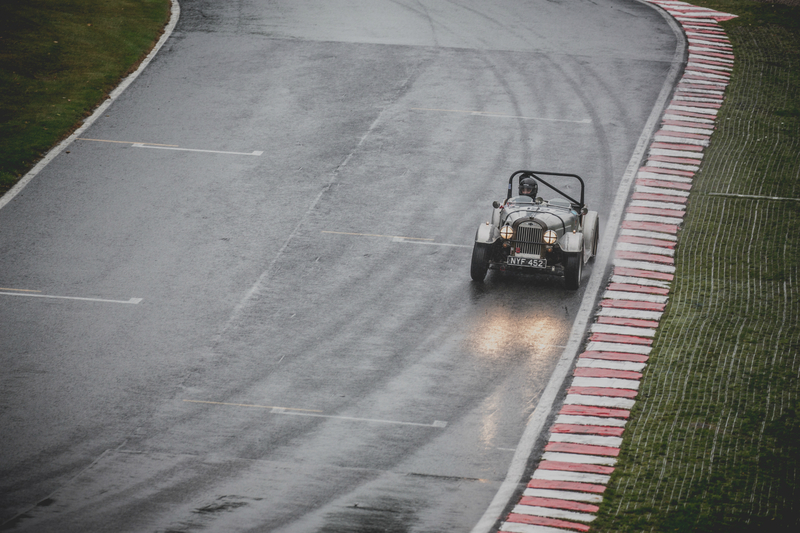 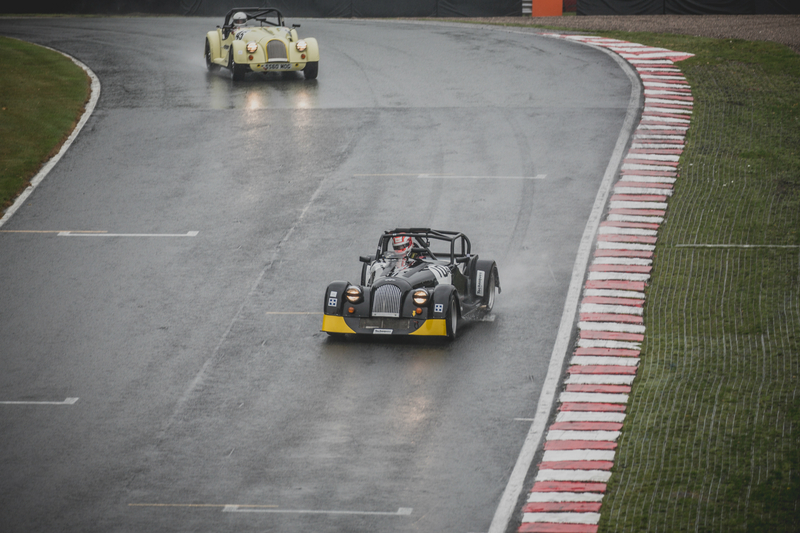 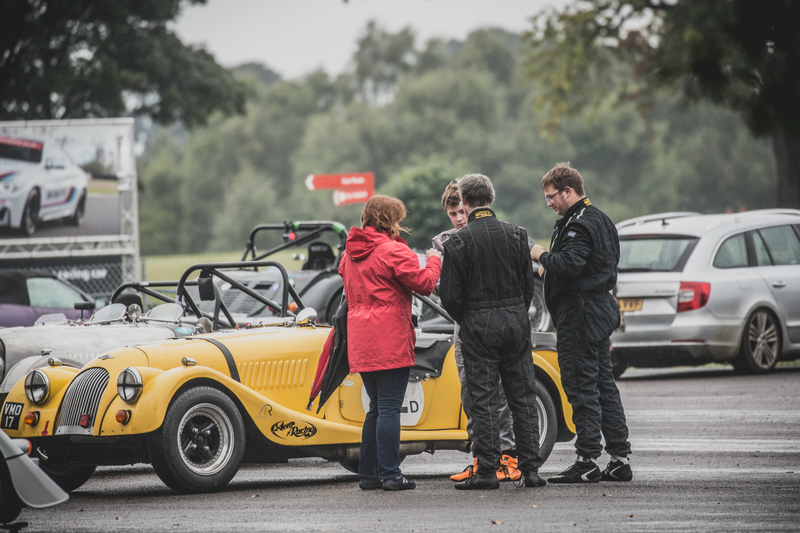 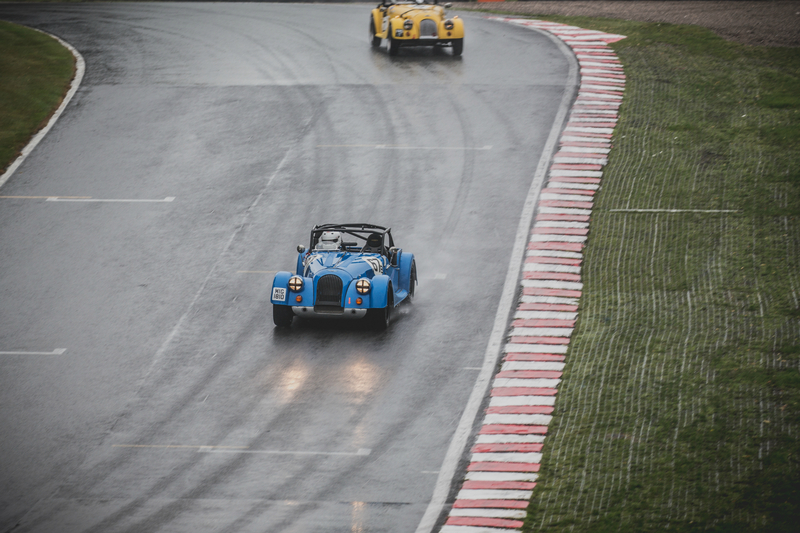 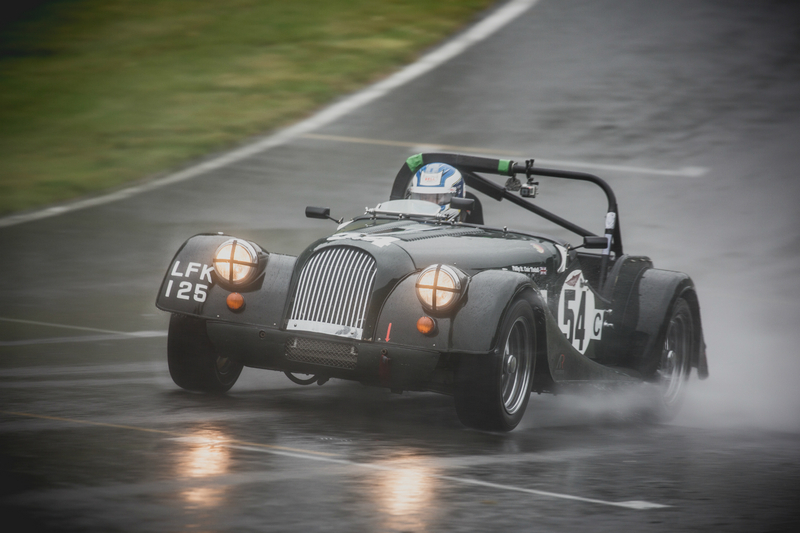 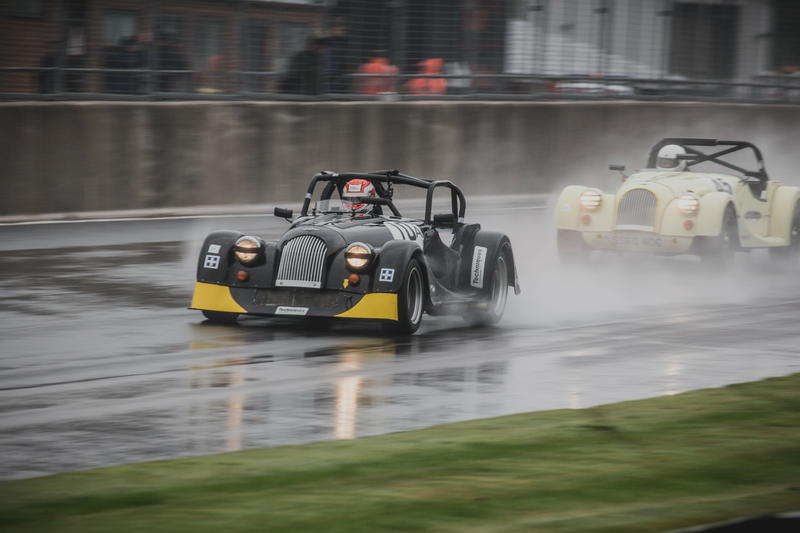 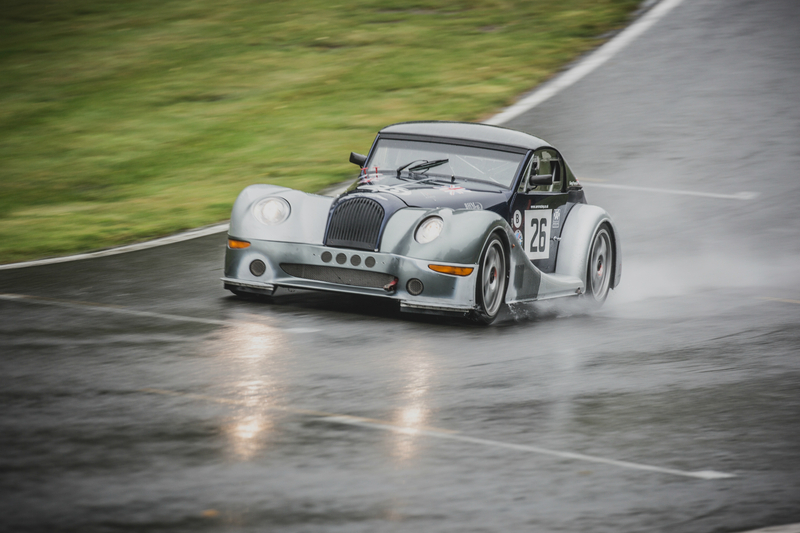 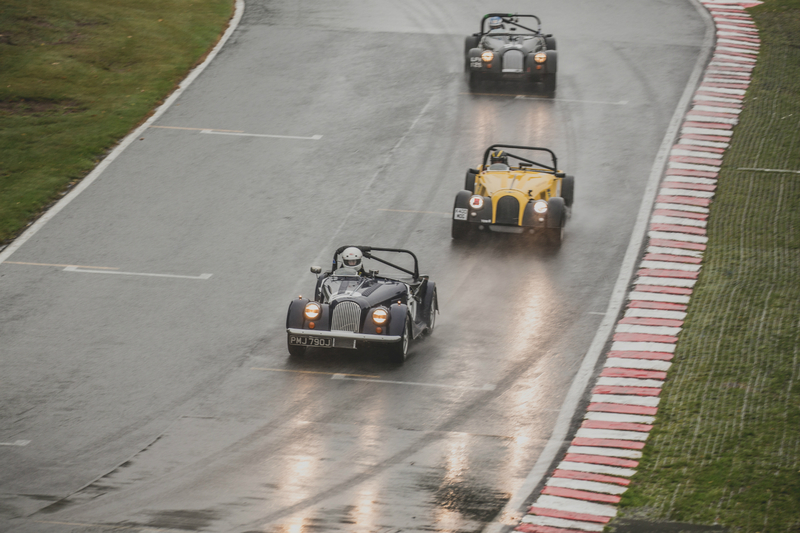 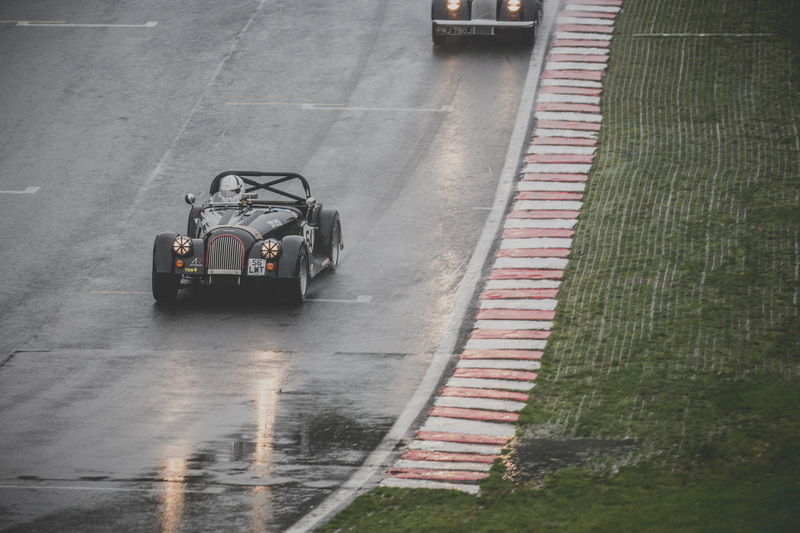 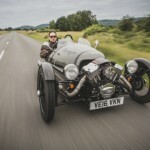 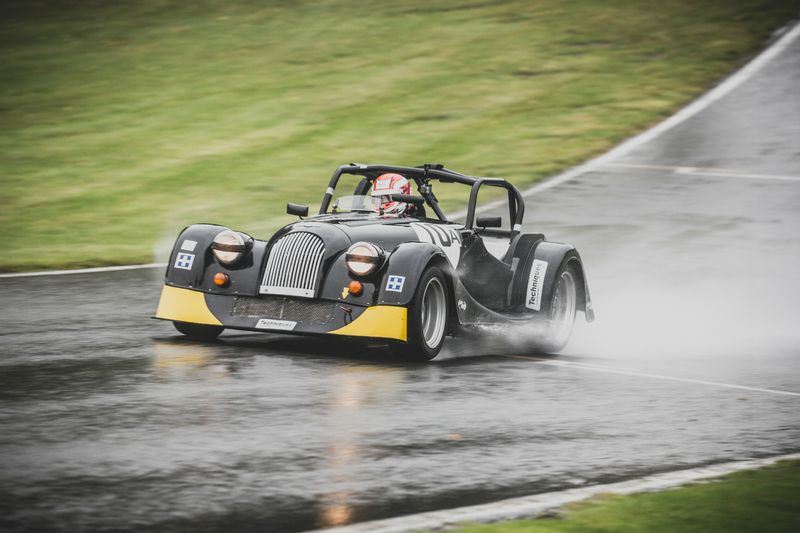 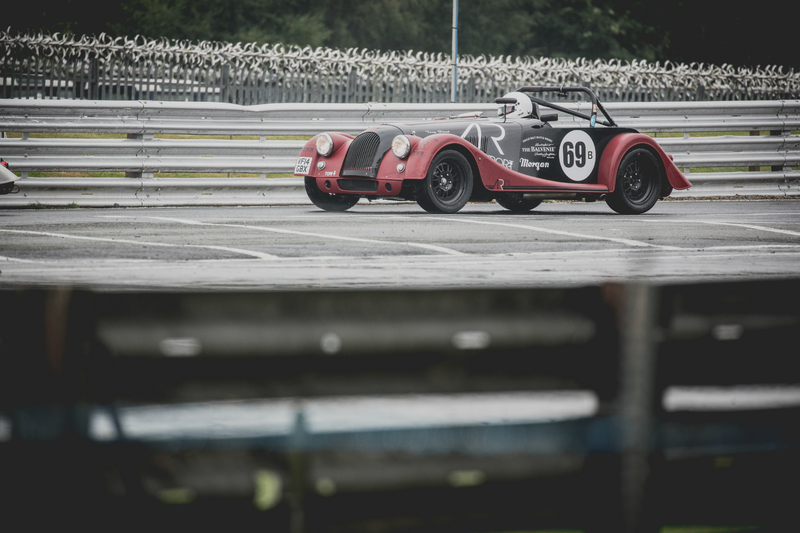 A wet, windy and cold Oulton Park circuit greeted the 22 car grid of the Morgan Challenge last Saturday. 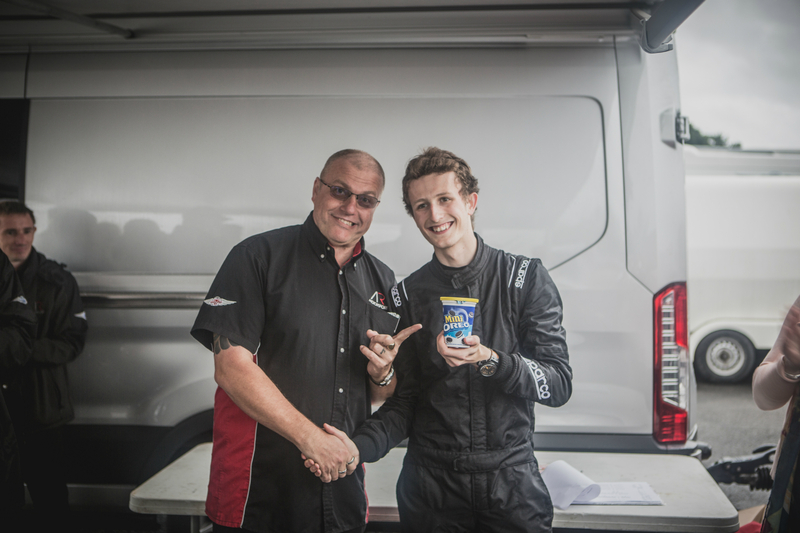 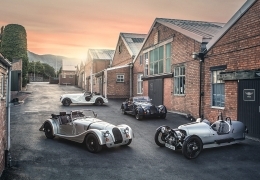 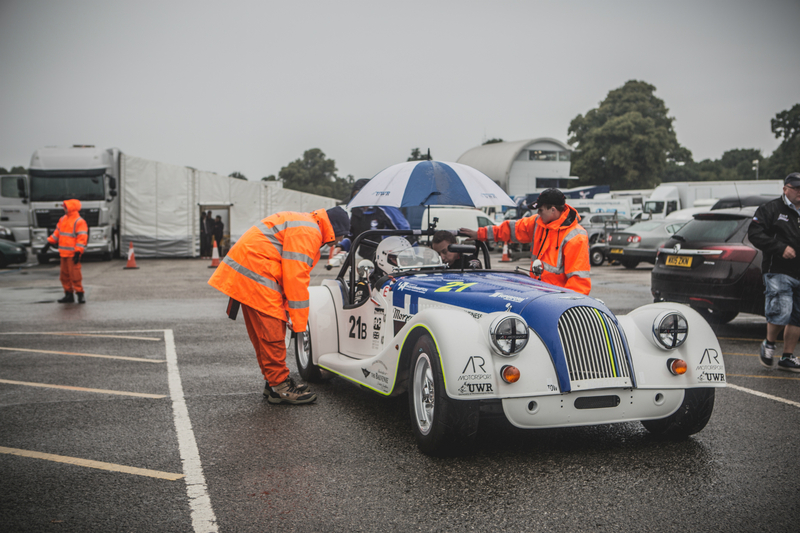 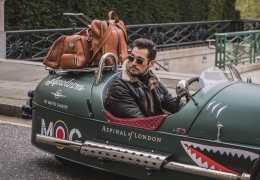 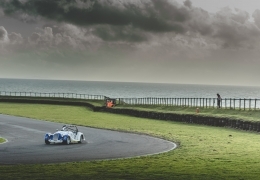 Challenging track conditions certainly suited young Elliot Paterson, who was hopeful of a 2nd or 1st place finish to win the 2016 Morgan Challenge Series. 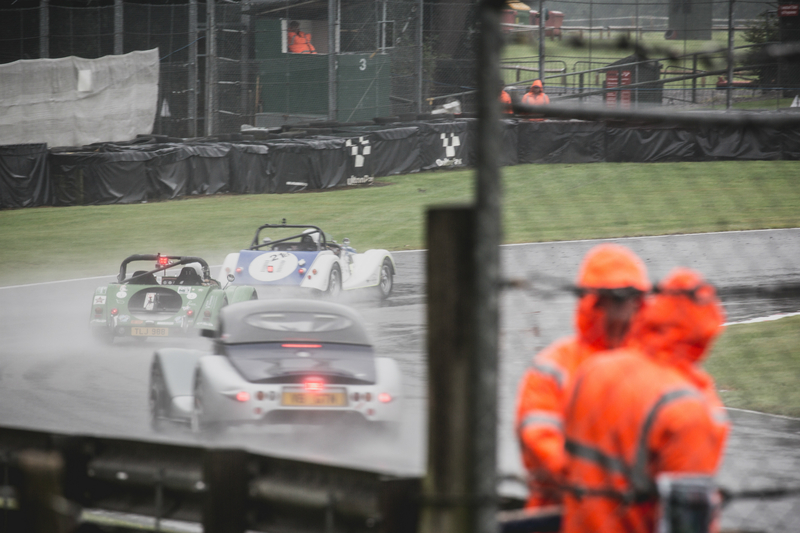 As the grid assembled for qualifying in some of the worst conditions seen in the challenge series this year, a few notable faces and cars were missing; Ahlers and Williams to name but two. 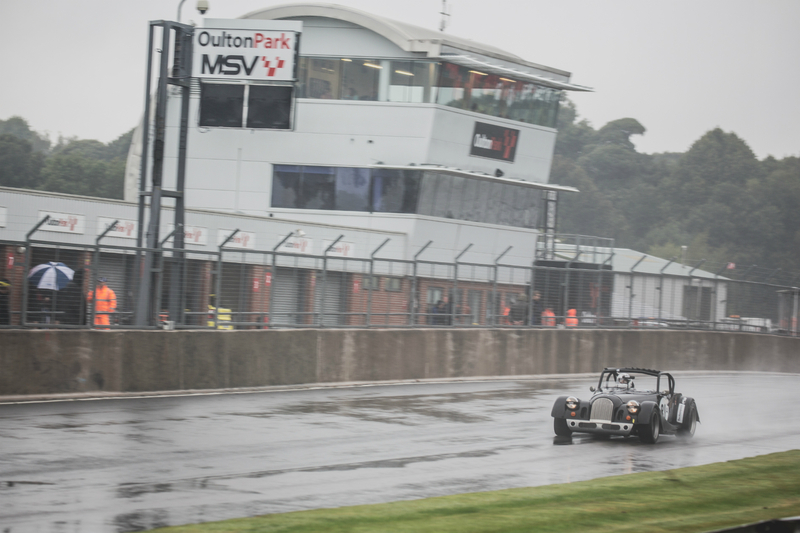 Despite all of that, qualifying went ahead and a determined Elliot Paterson looked to be quickest, followed closely by Dad Russell. 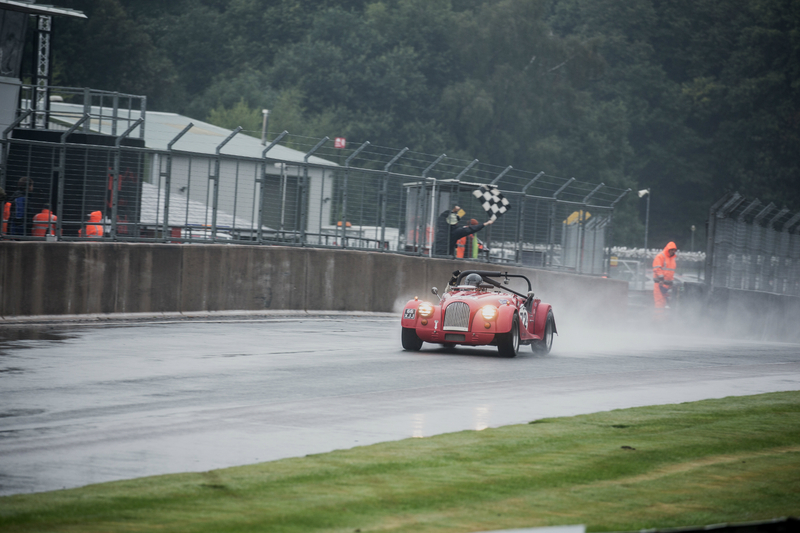 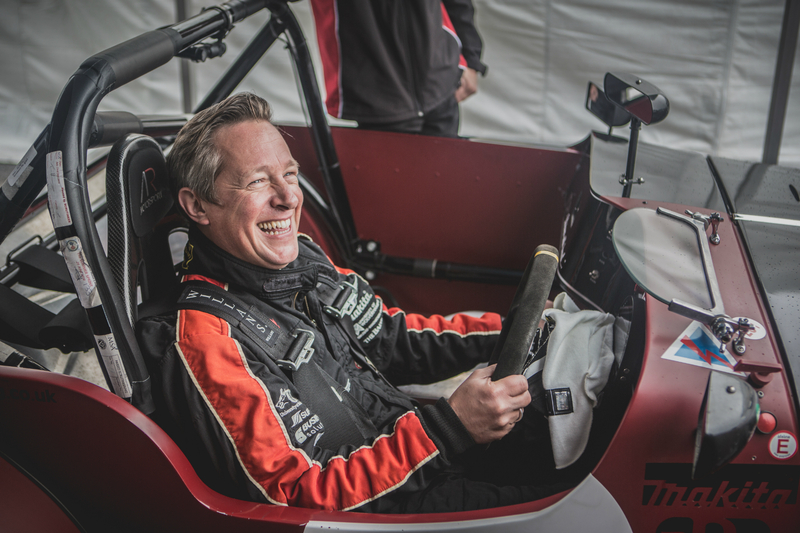 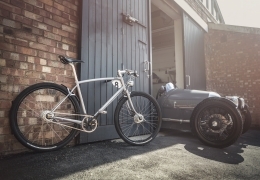 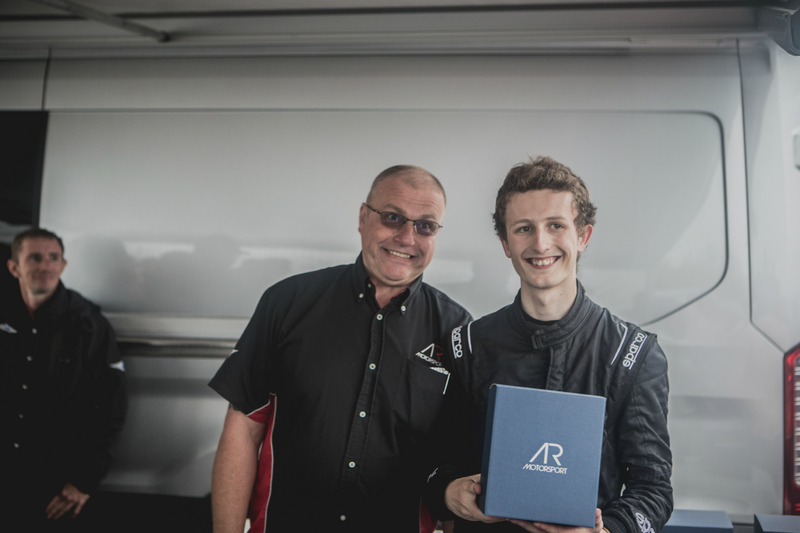 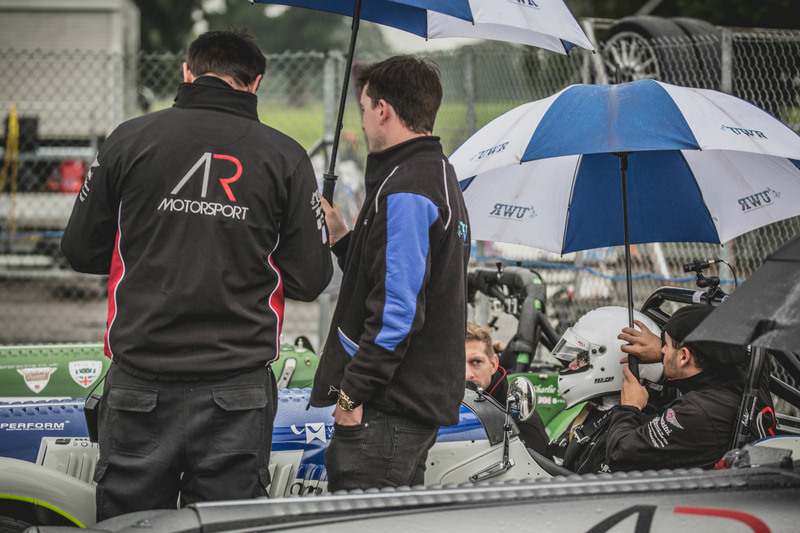 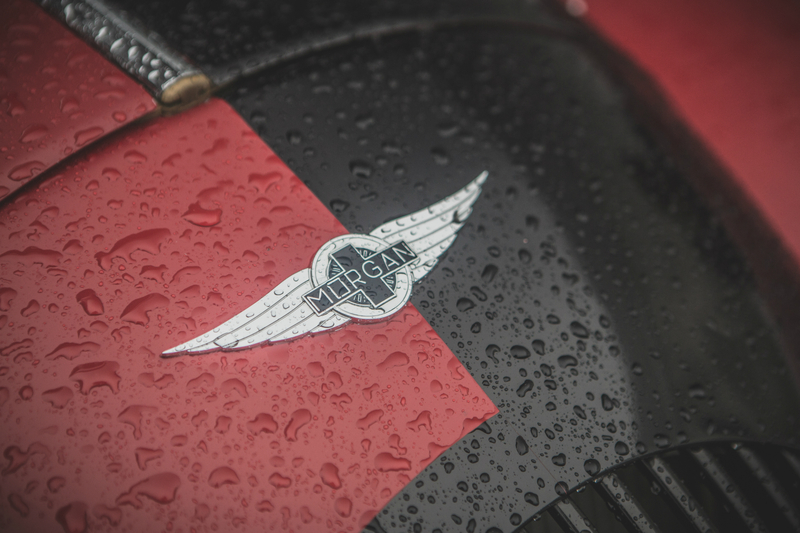 A master of the wet, Elliot did indeed put his Roadster lightweight on pole, some 2 seconds head of Paterson snr. 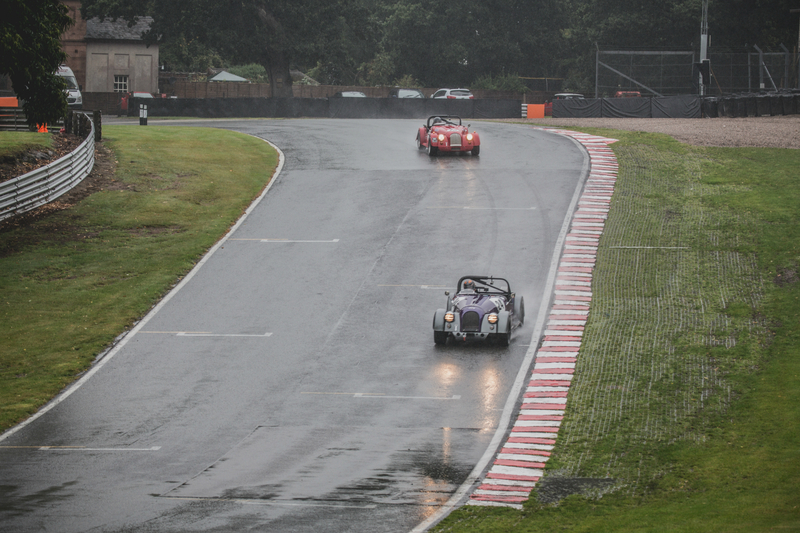 Tony Hirst qualified in 3rd followed by Tim Parsons, who had made good use of the wet conditions in his Plus 4 SuperSports. 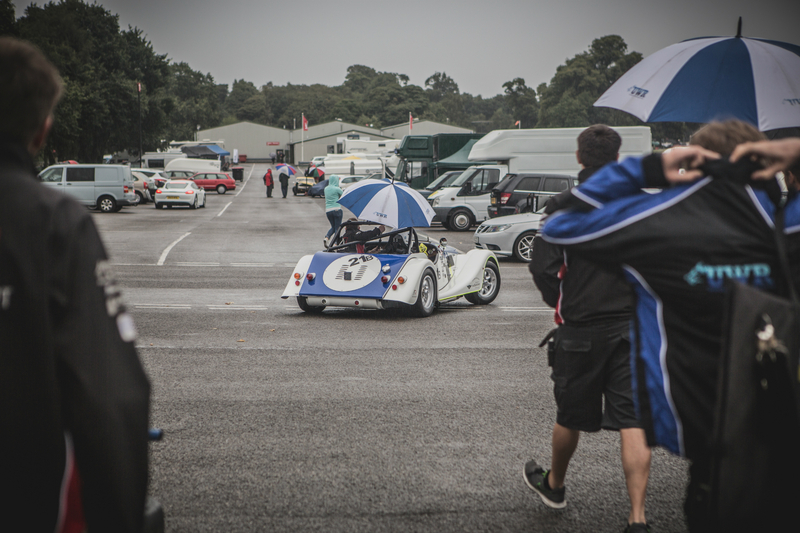 With the track conditions making life difficult for a lot of the Class B cars, Tim Ayres also qualified well, 1st in Class C and 6th overall. 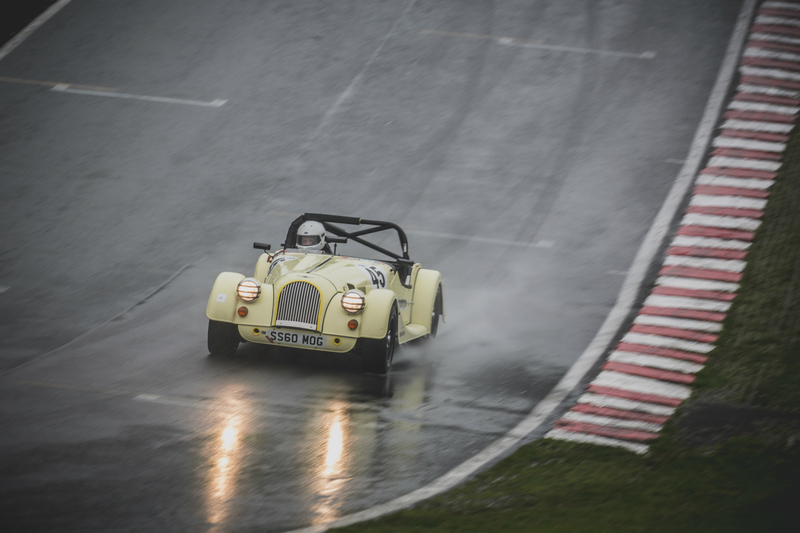 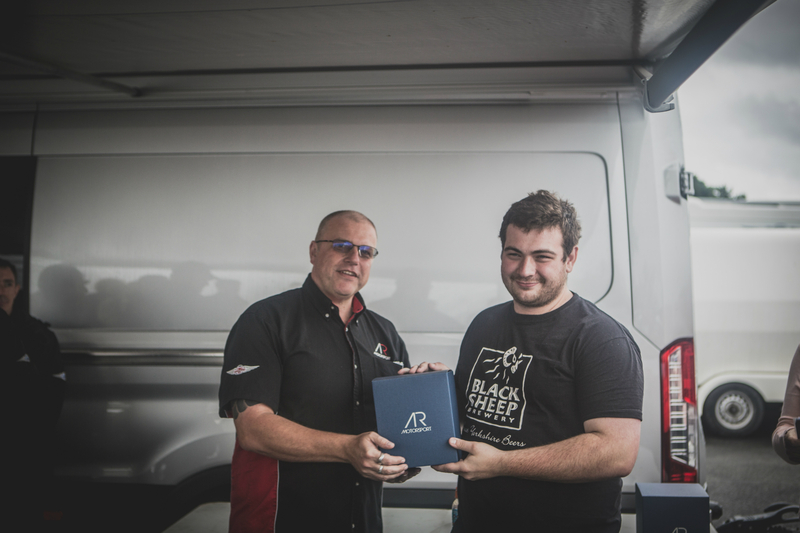 Strong laps from Craig Hamilton-Smith as he qualified 3rd in Class B, his best session of the season, testing on Friday had certainly paid off. 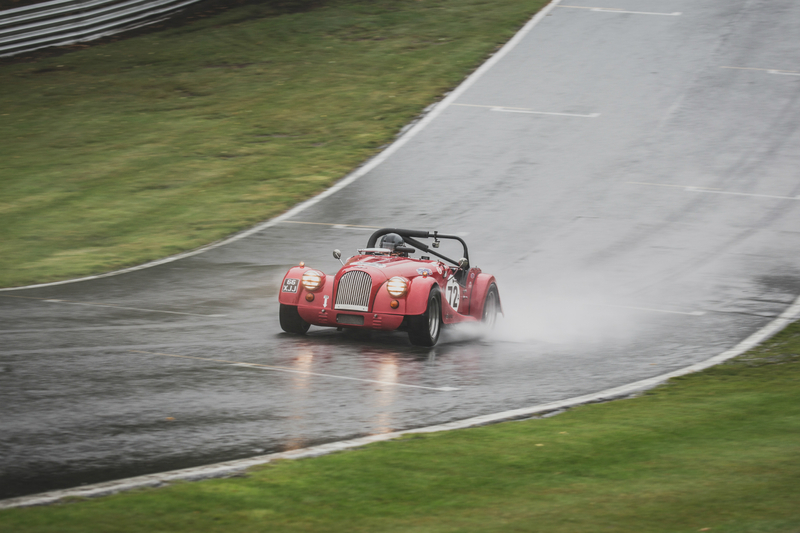 Conditions continued to worsen throughout the morning and afternoon, with enough standing water on track to justify a boat race not a motor race! 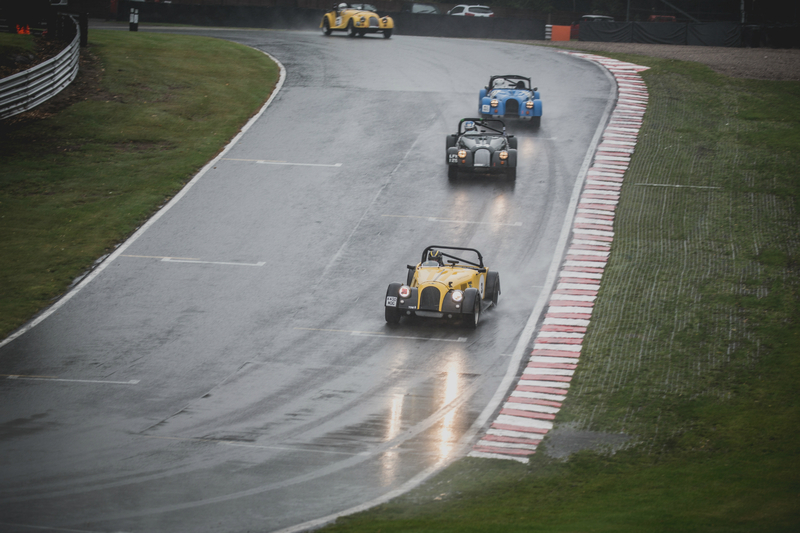 As the lights went out Elliot shot away, closely followed Russell, Phil Goddard and Tim Parsons, both managed to overtake Tony Hirst, who had a difficult start. 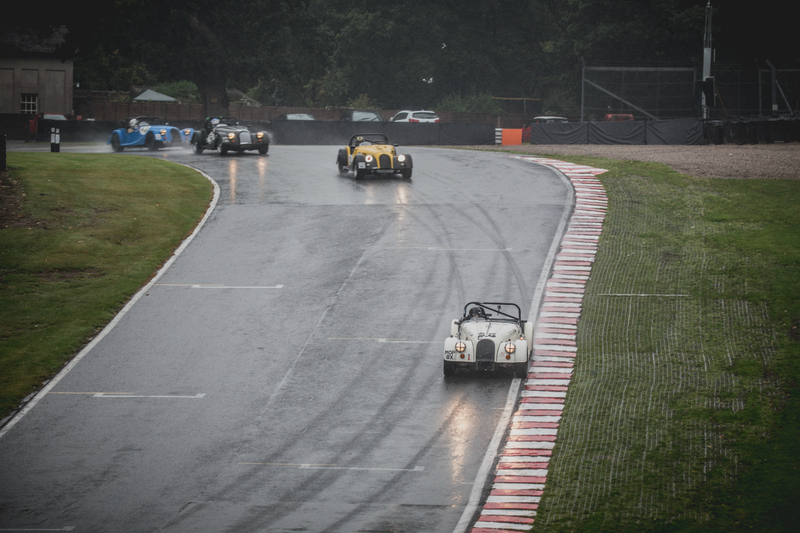 Elliot stayed out in front for most of the race, only to have a small issue and a slight off with around 3 laps to go. 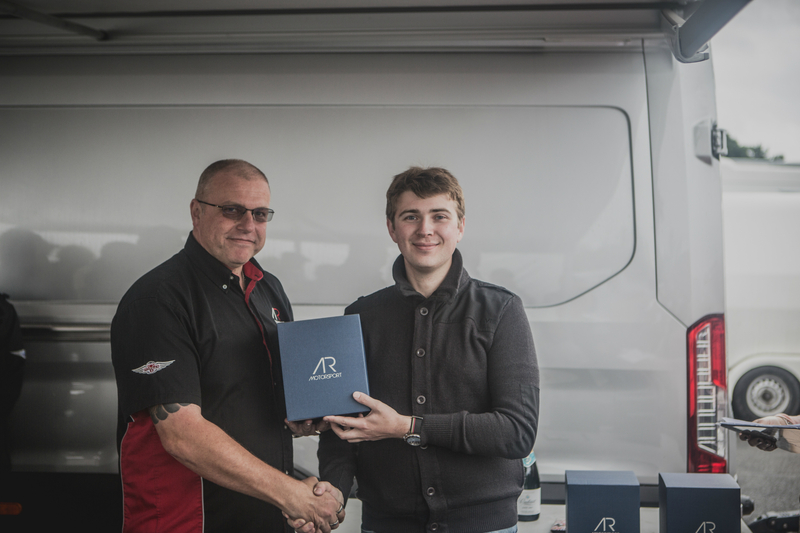 Russell overtook him and stayed out in front to take the overall win, second place for Elliot was still enough to win the Championship and 1st in Class B. Tim Parsons and Phil Goddard continued to battle throughout the race, with Goddard coming out on top to claim 2nd place in Class A, Parsons taking driver of the day for a fine drive. 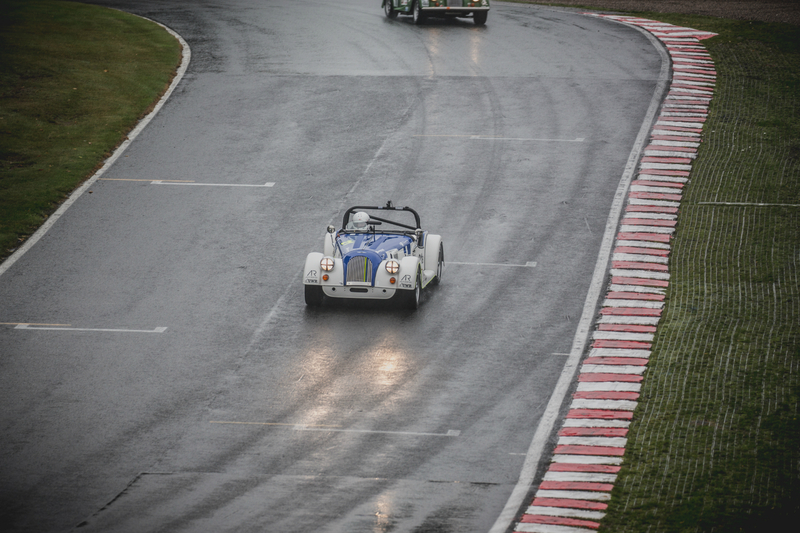 Further down the grid Stuart Anderson, Andrew Thompson, Dominic House, Tim Ayres and Philip Tisdall all traded places numerous times during the race, with continual battling throughout, Tim Ayres finished first in Class C. Unfortunately Craig Hamilton-Smith dropped behind each of these having qualified strongly to finish in 6th in Class B and 13th overall just in front of Sharlie Goddard, still a good performance from Craig in his first ever Oulton visit. 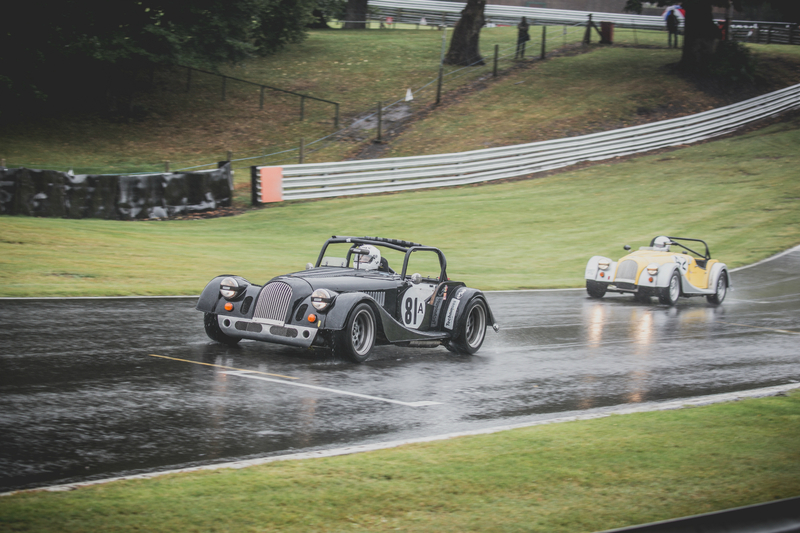 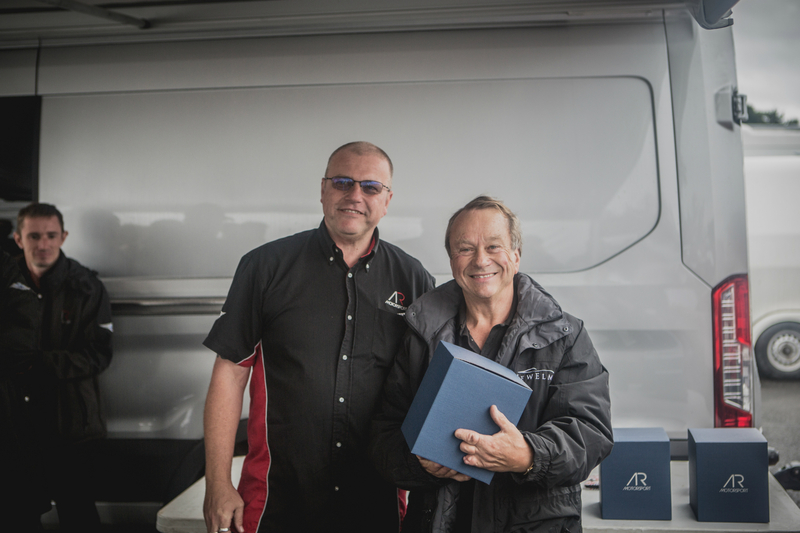 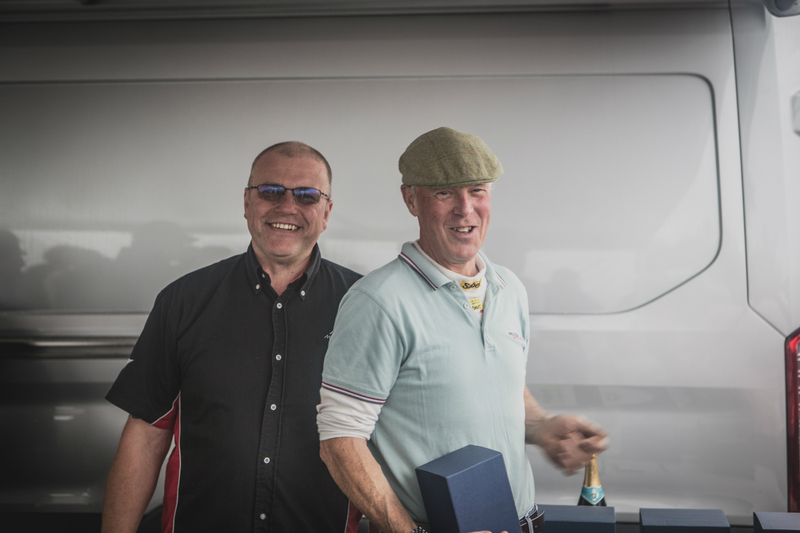 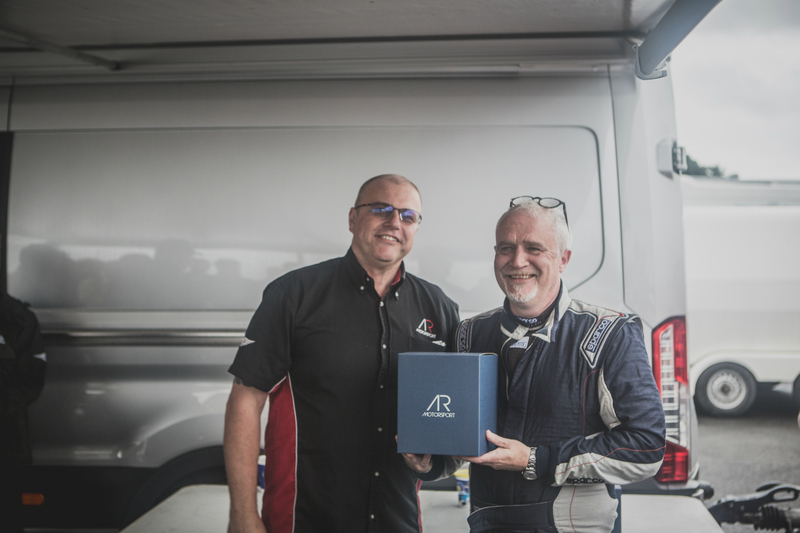 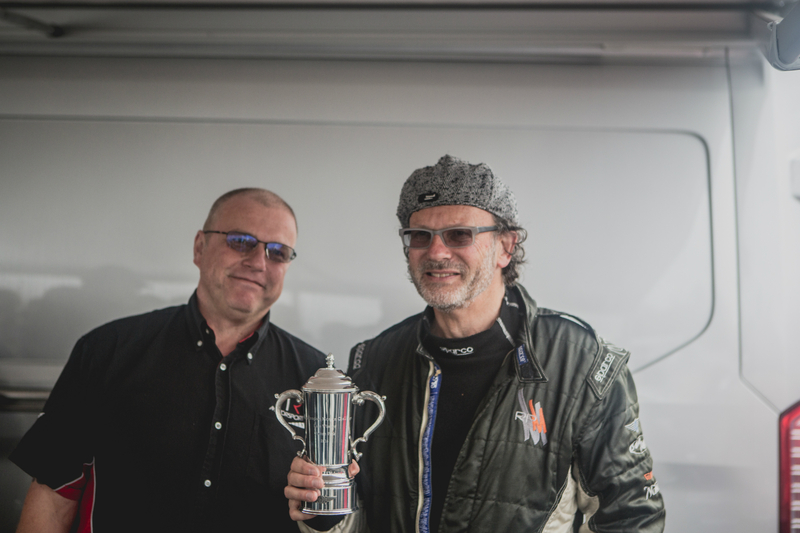 James and Ian Sumner were somewhat on their own in Classes D & E, yet still put in good lap times and rounded off the grid alongisde the cautious V8s of Roger Whiteside and Greg Parnell. 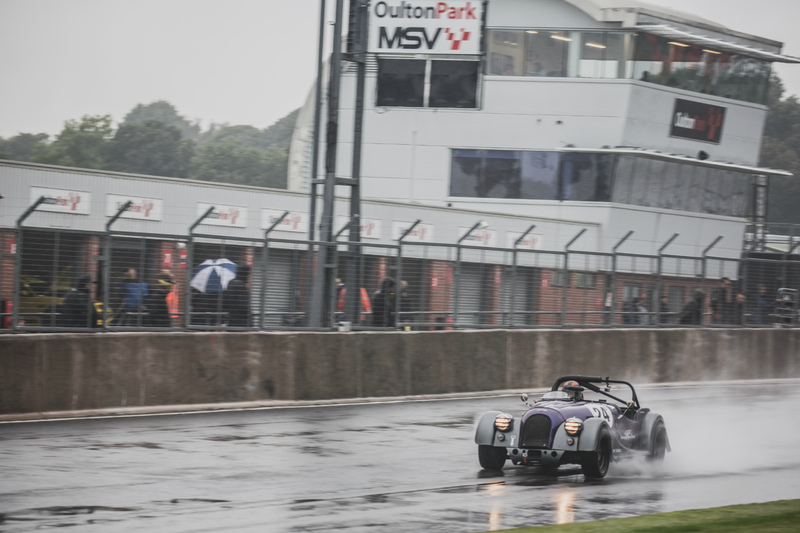 The wet weather was not without its victims, and it was a shame to see Simon Scott go off, let’s hope his car is back in time for Mallory on the 24th of September.